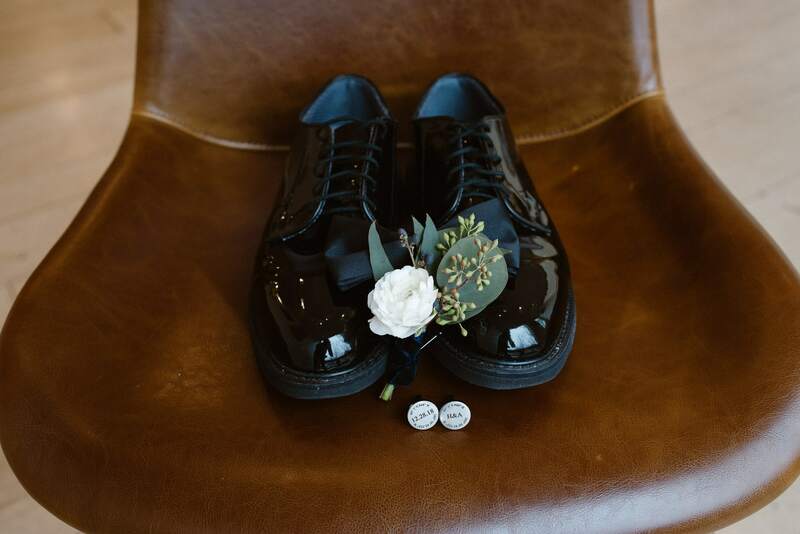 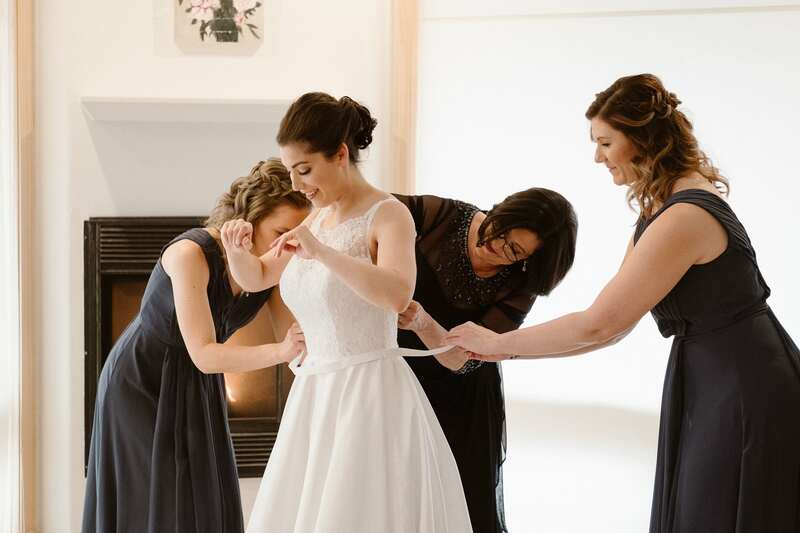 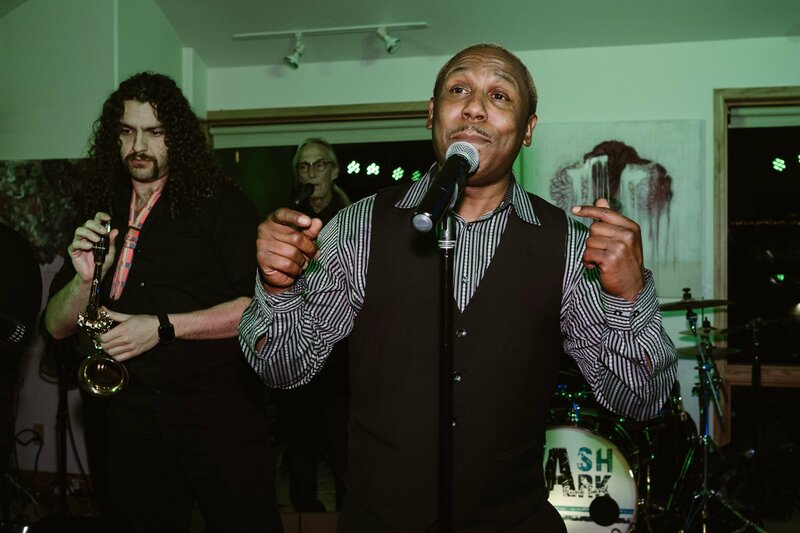 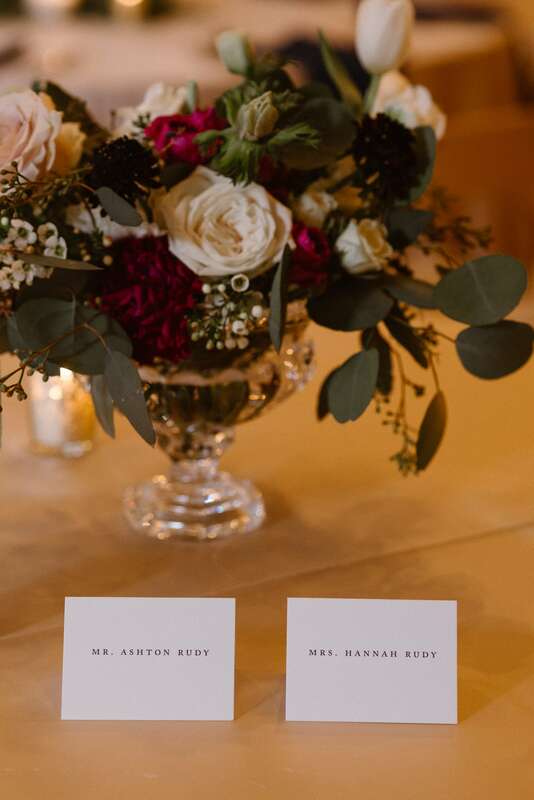 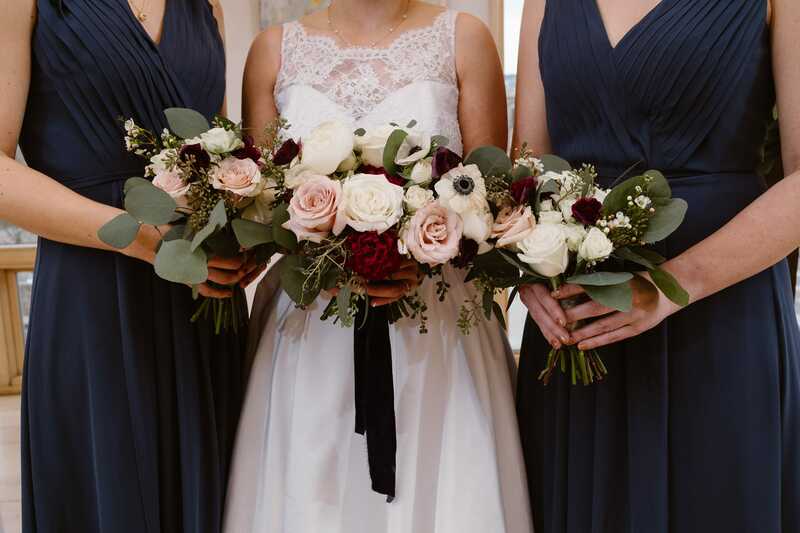 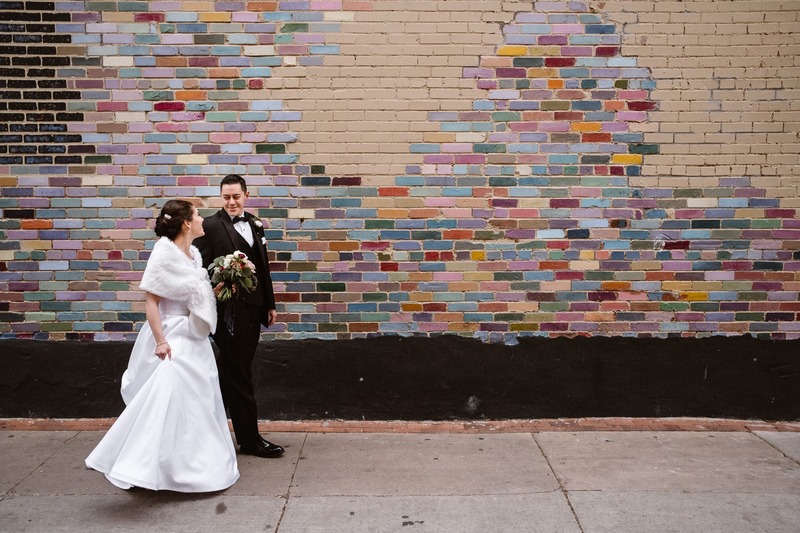 I first met Hannah and Ashton at the Rembrandt Yard wedding showcase in January last year. 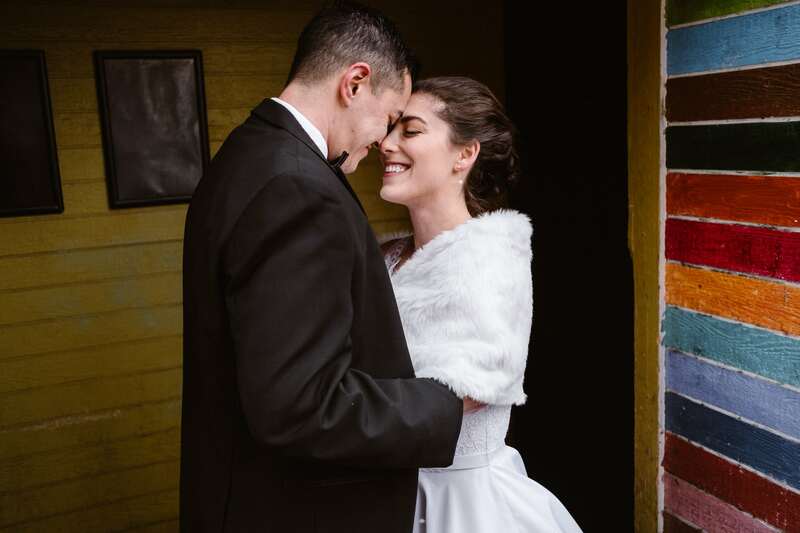 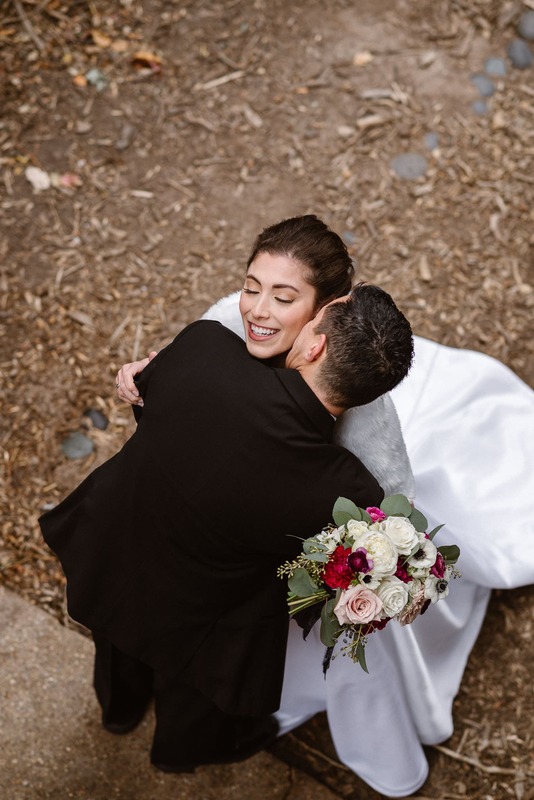 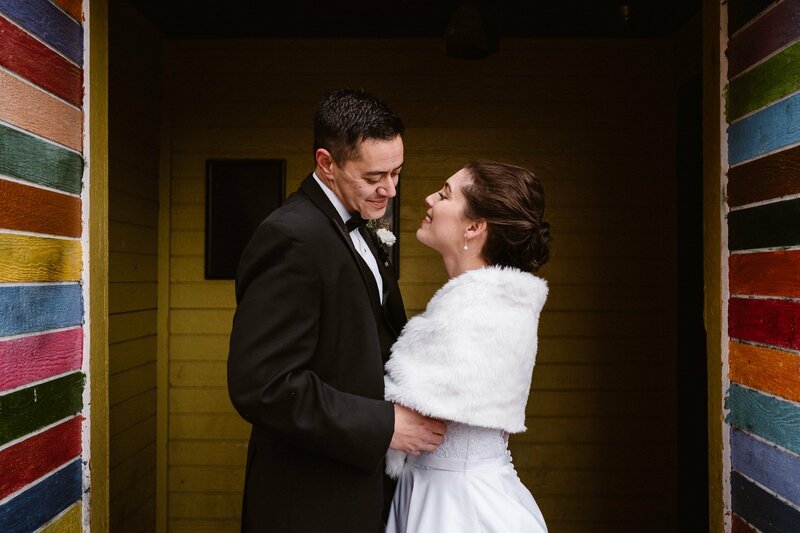 We hit it off immediately, and I was so excited when they booked me to photograph their winter wedding at Rembrandt Yard in December. 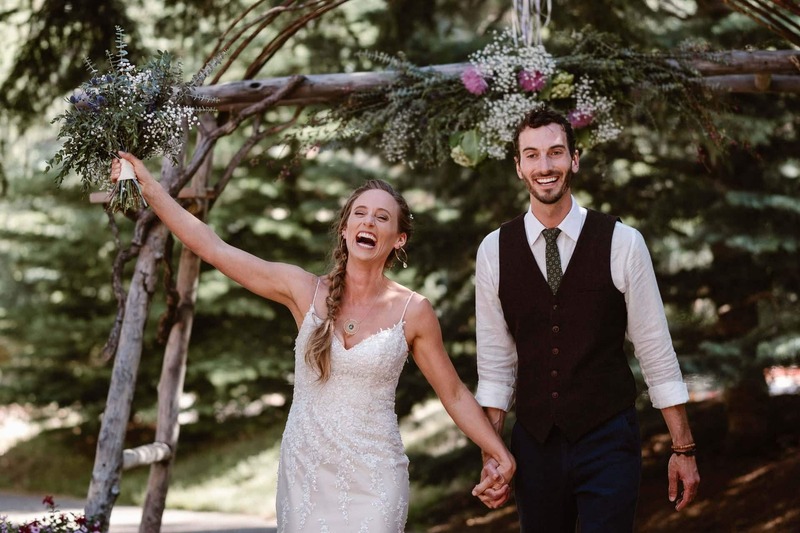 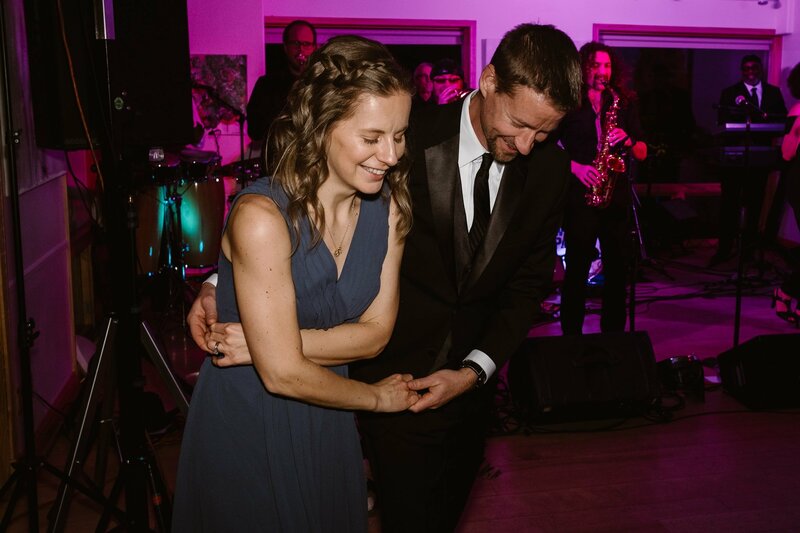 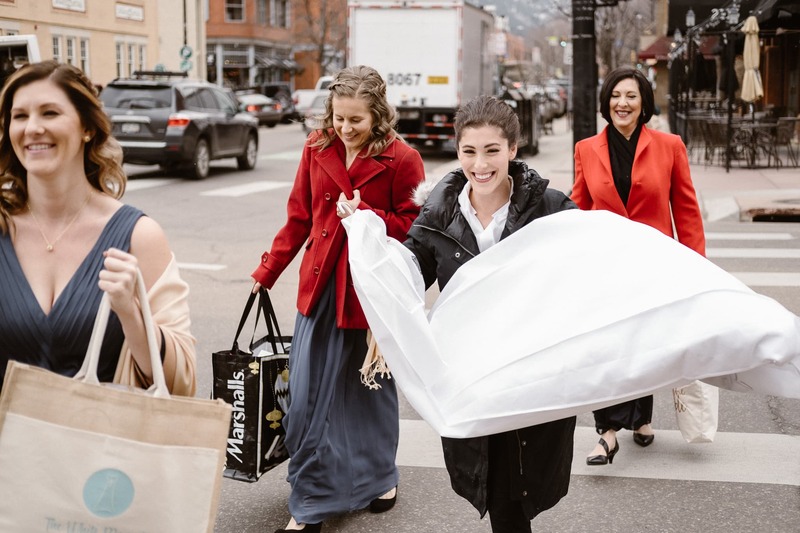 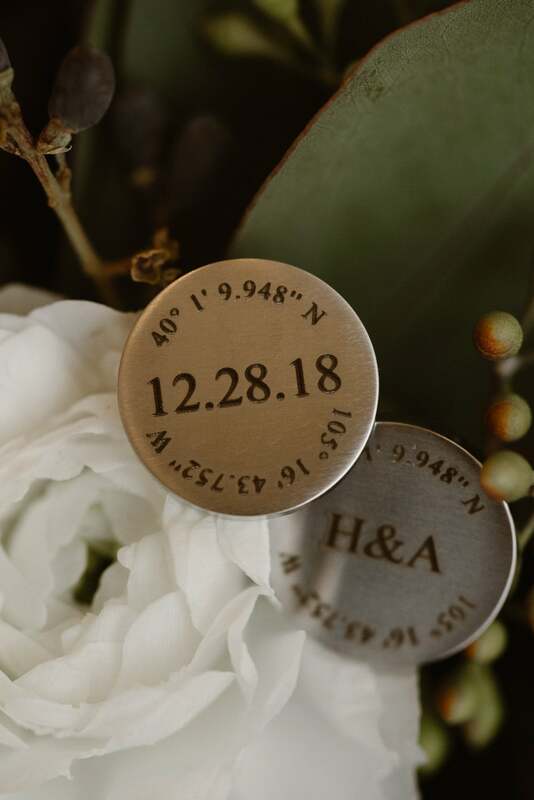 We had such a fun time hiking around in Rocky Mountain National Park last spring, and had stayed in touch via Instagram over the year leading up to their big day. 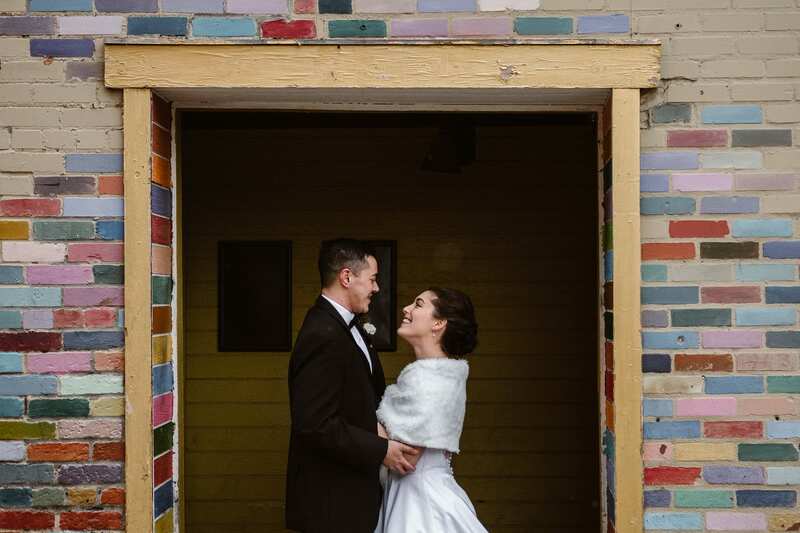 So by the time their Rembrandt Yard wedding came around, it truly felt like showing up to photograph my close friends. 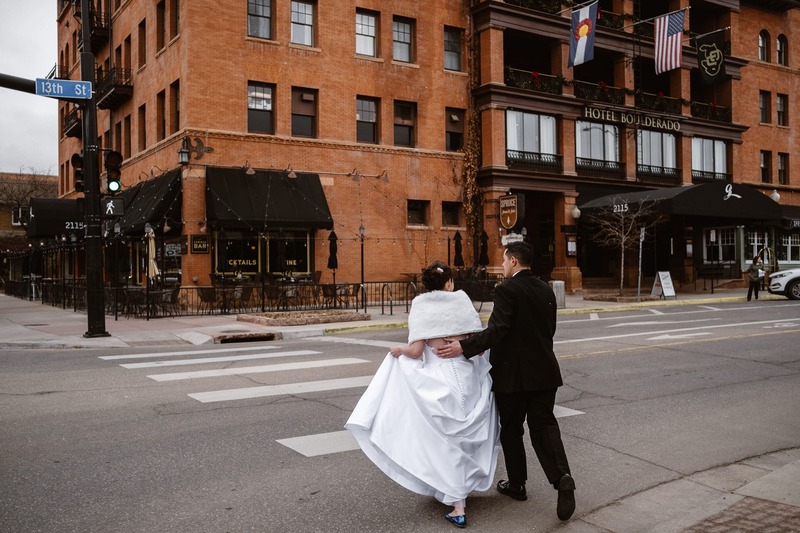 We started the day with getting ready photos of the women at the Hotel Boulderado, before heading over to Rembrandt Yard for the rest. 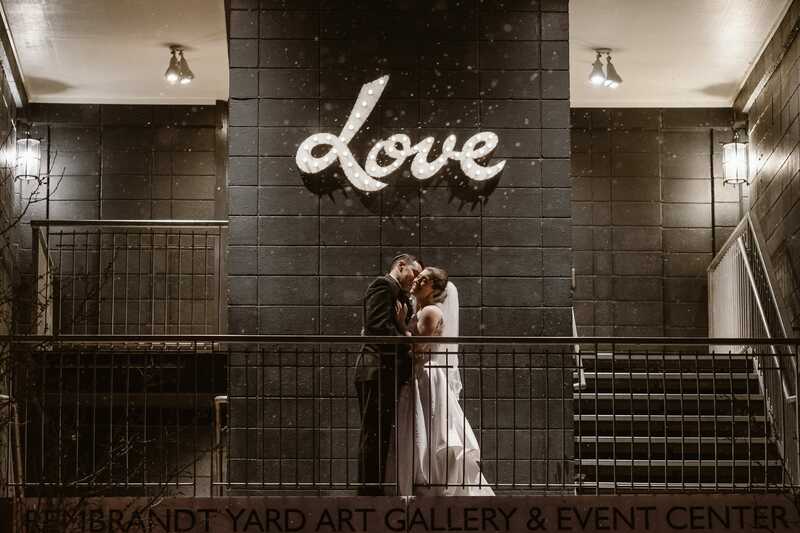 Hannah and Ashton decided to do a first look and their portraits before the ceremony, since sunset is so early in December. 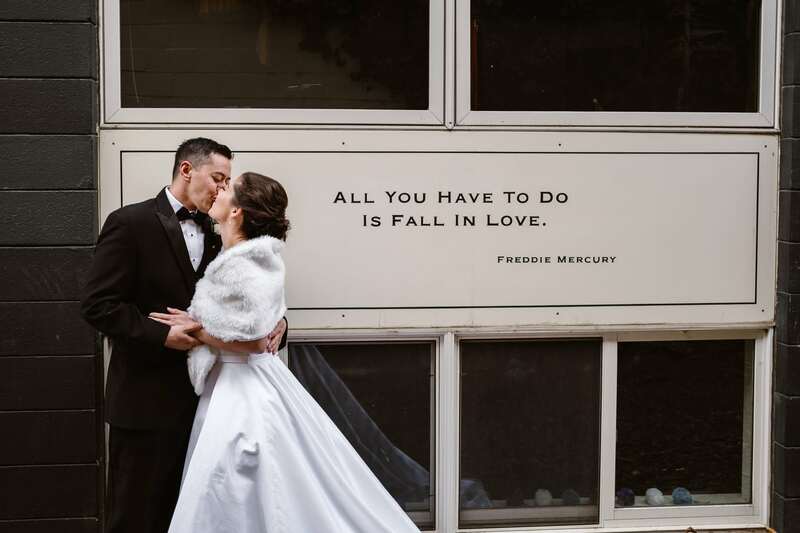 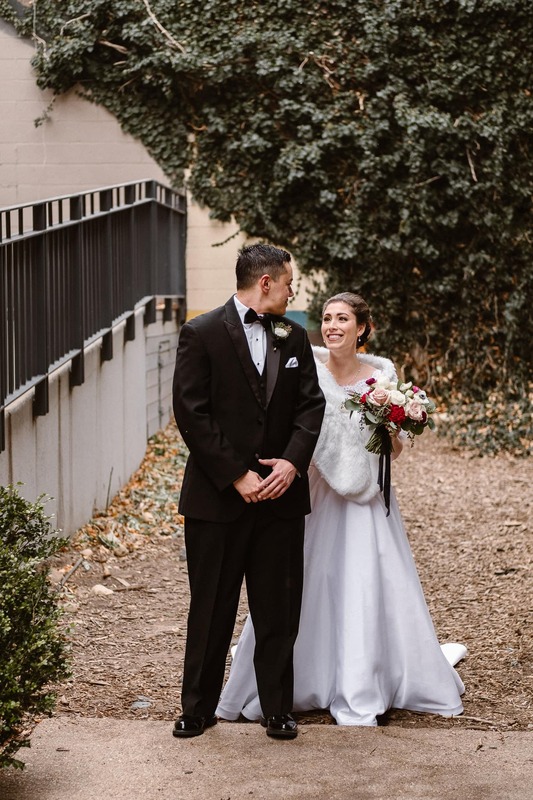 I’m always a huge fan of first looks, since they allow the couple to spend more of their wedding day together instead of nervously waiting separately until the ceremony! 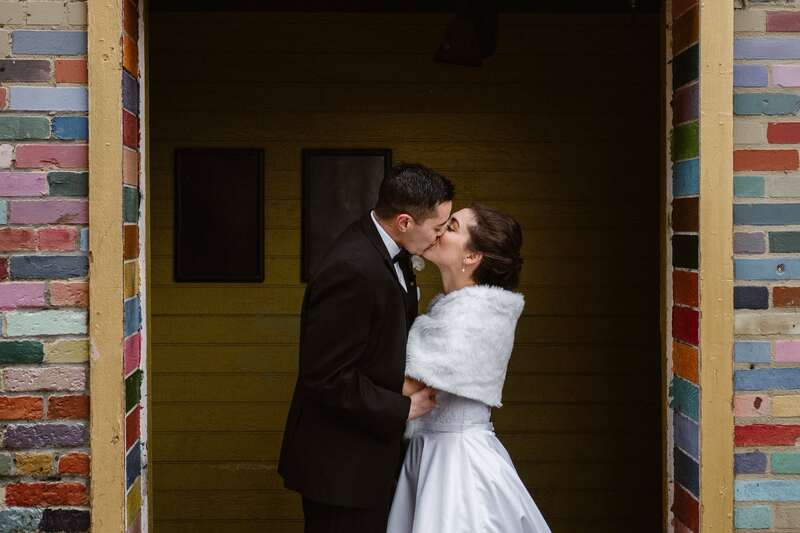 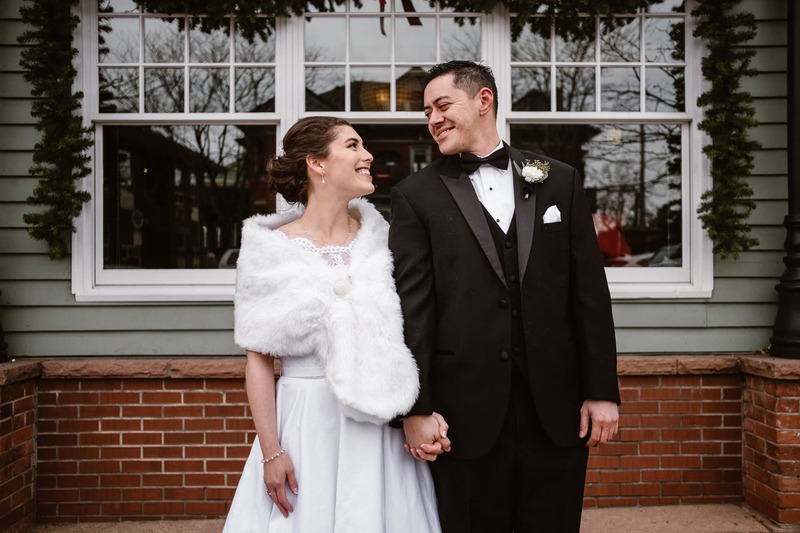 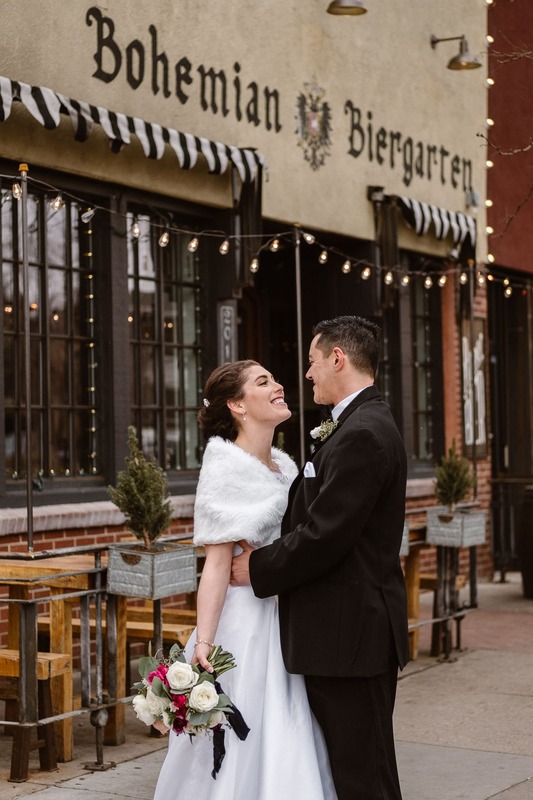 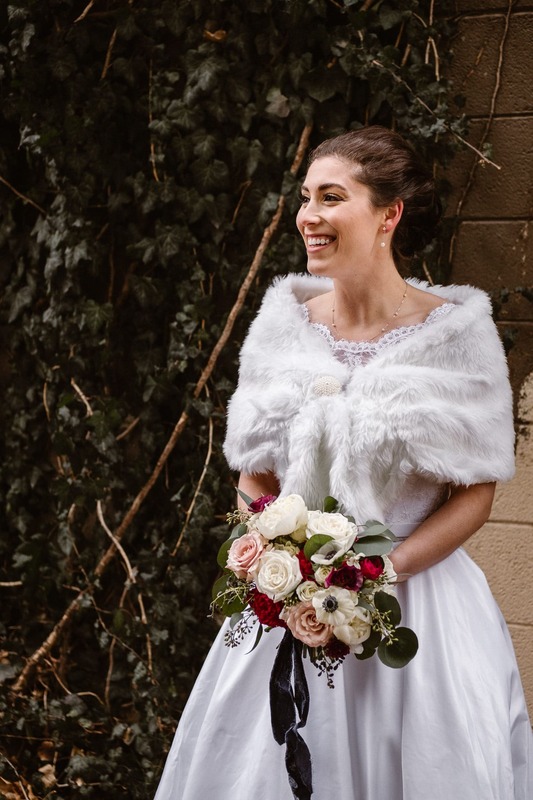 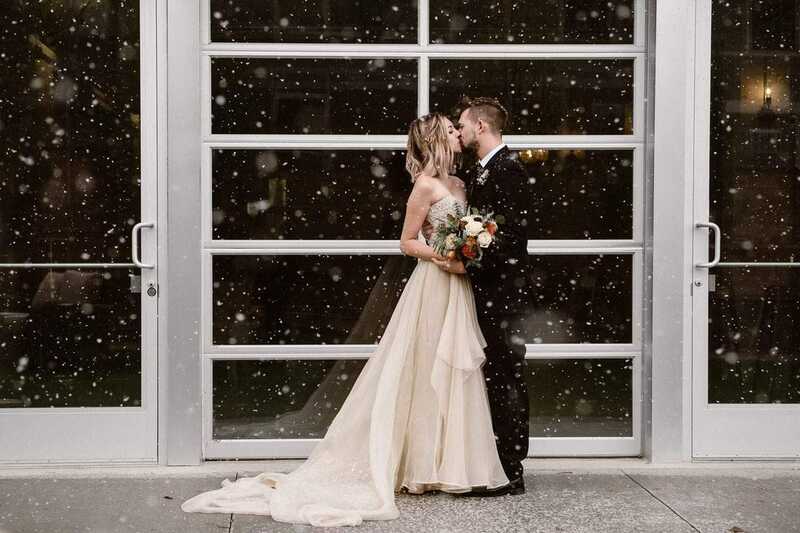 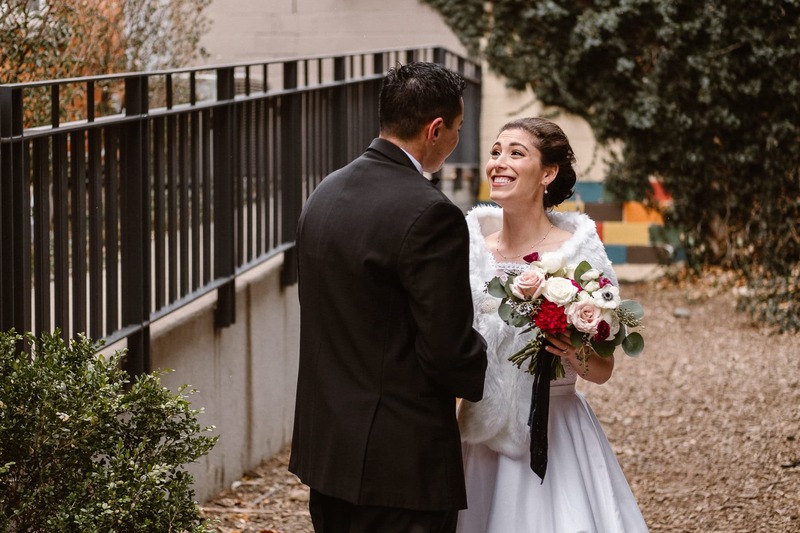 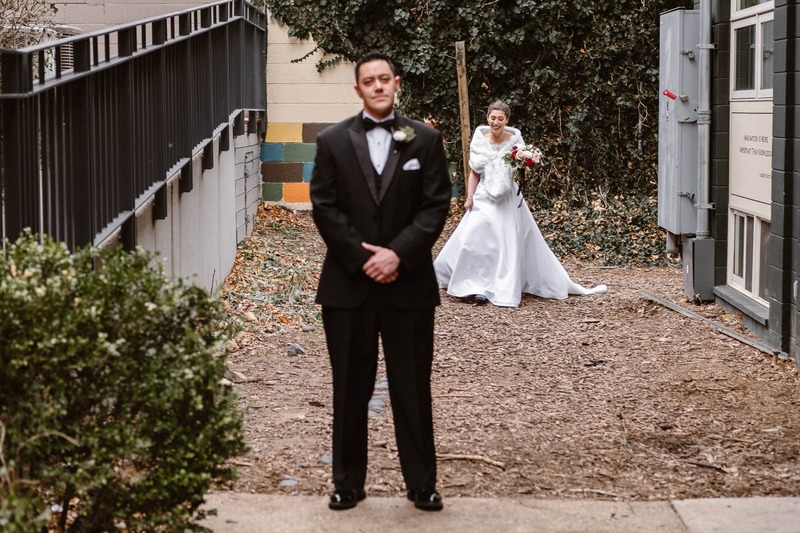 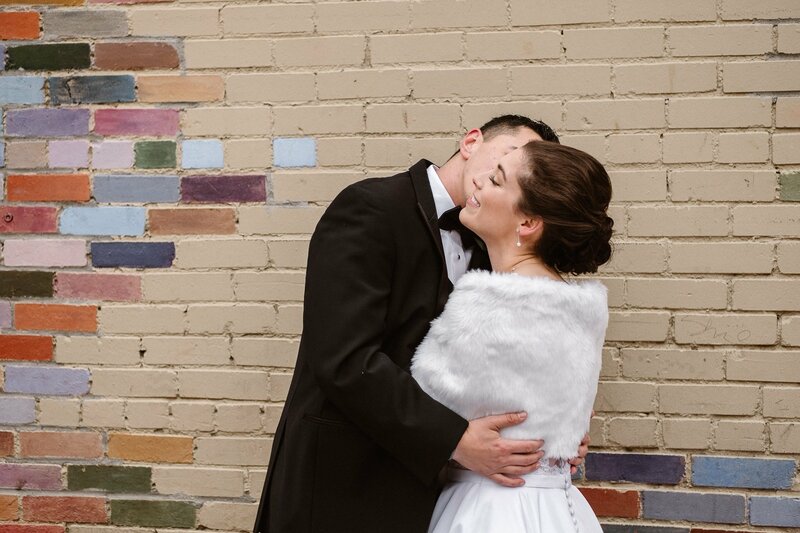 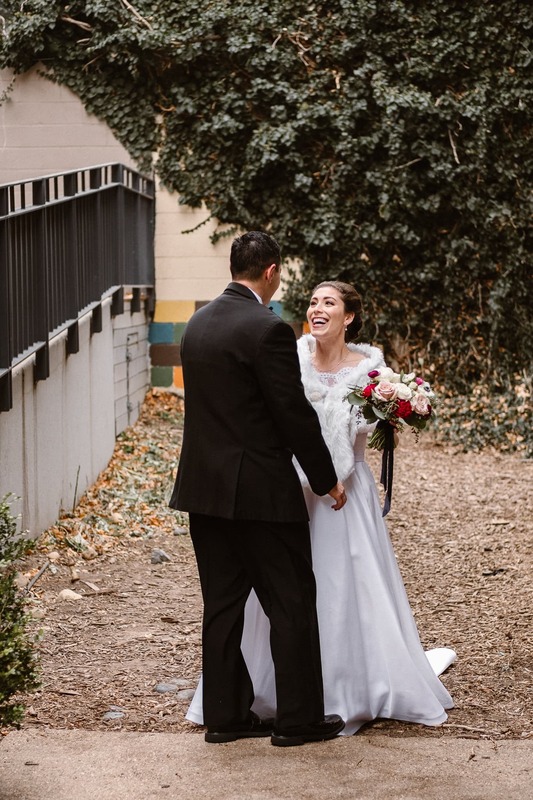 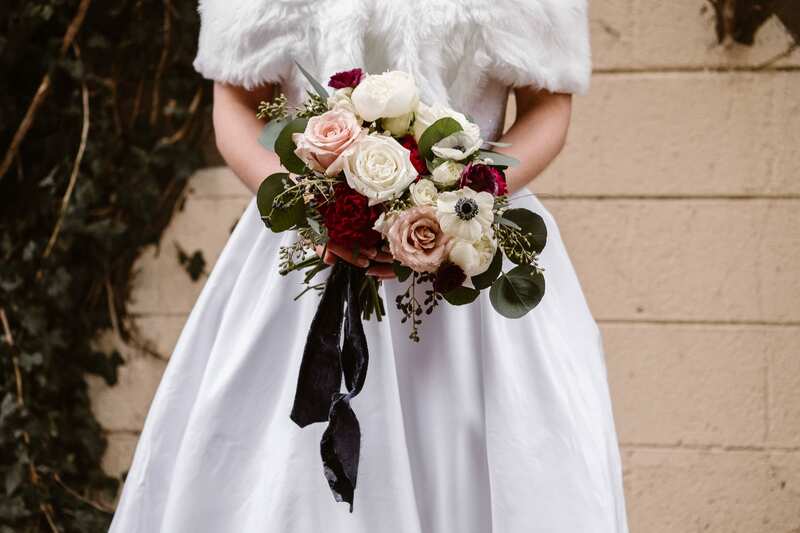 There are so many pretty spots within easy walking distance from the Rembrandt Yard wedding venue, and despite the freezing wind that day the couple kept laughing through the cold. 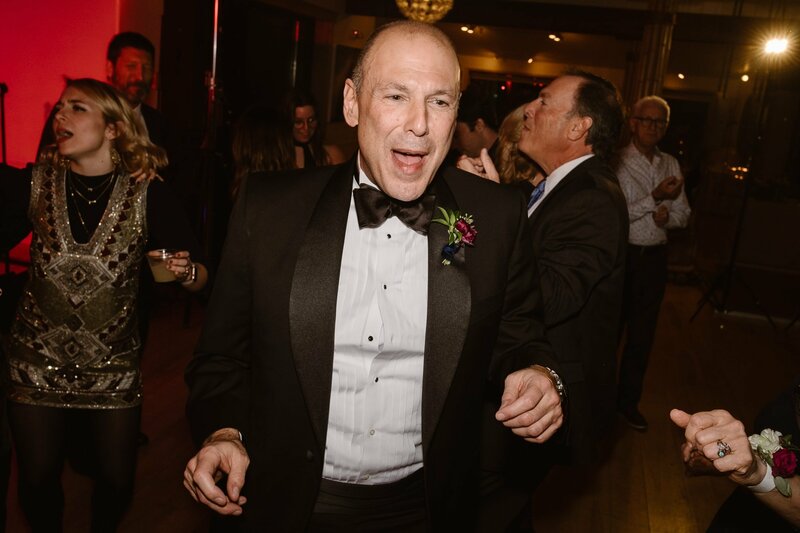 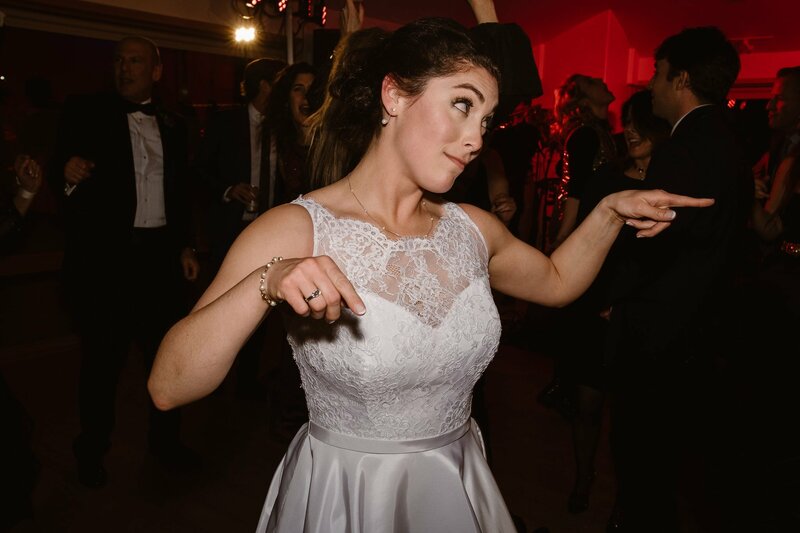 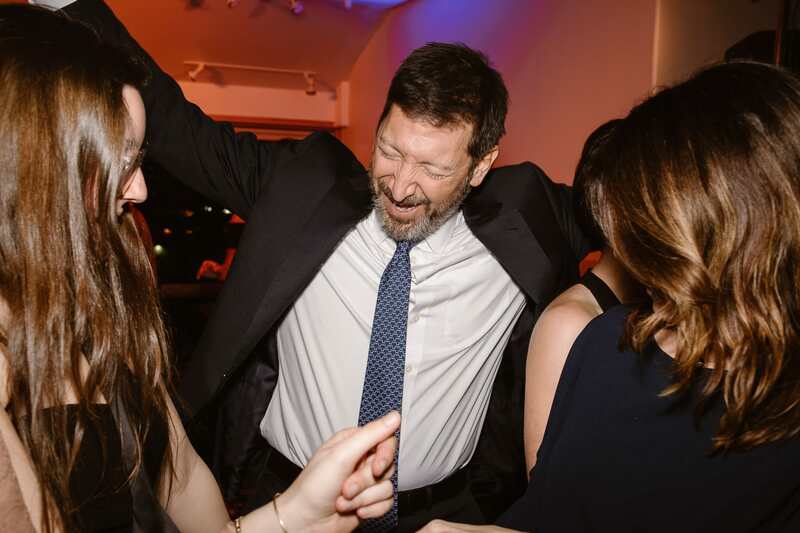 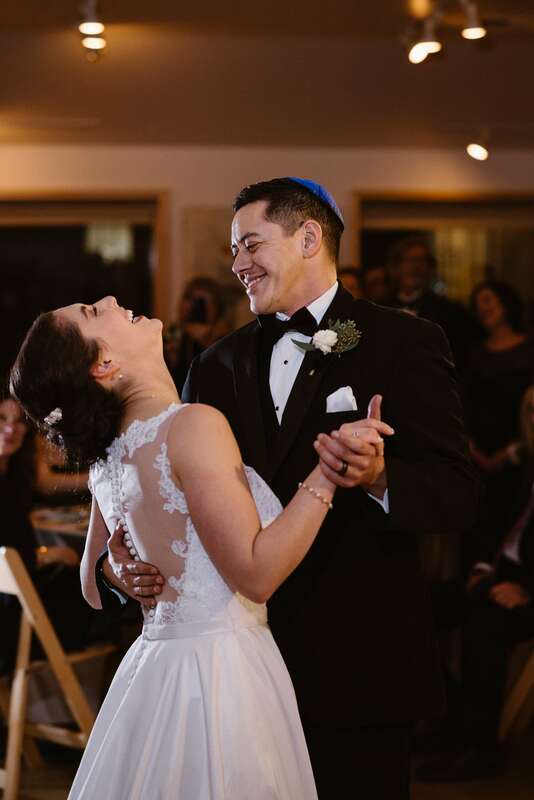 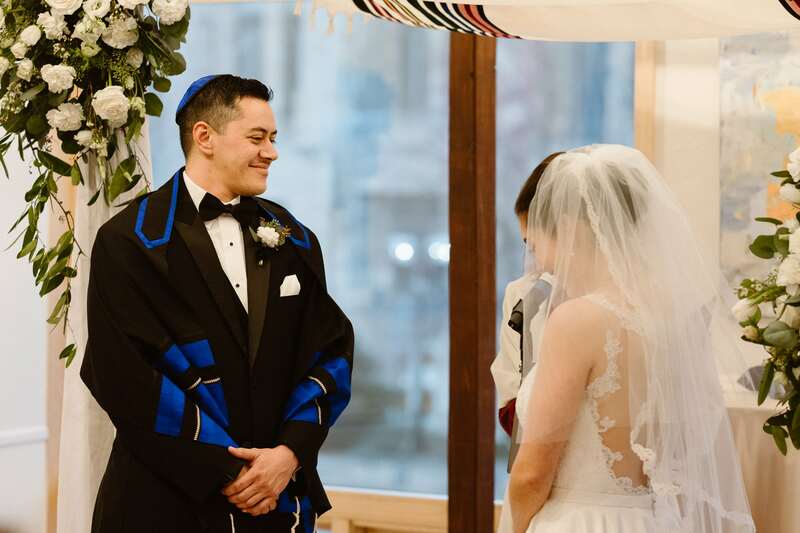 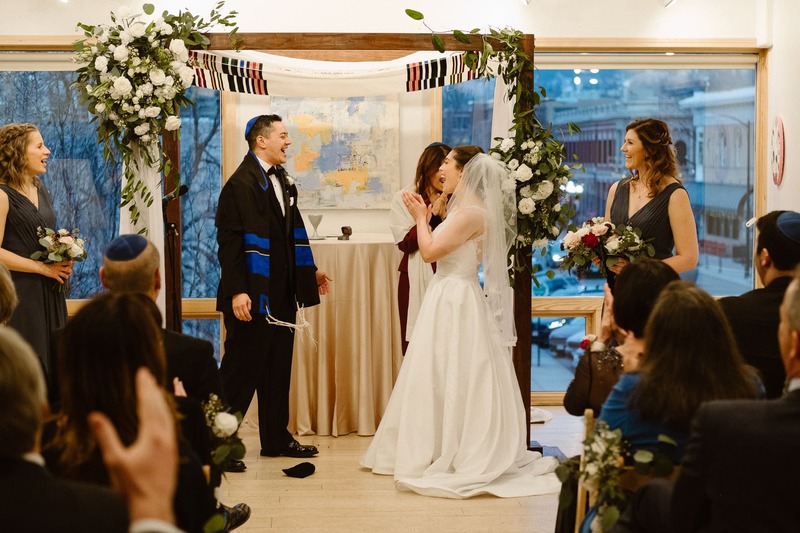 I love how photographing weddings lets me into cultures and traditions that are different from my own, and Jewish weddings are truly special when it comes to rich old traditions! 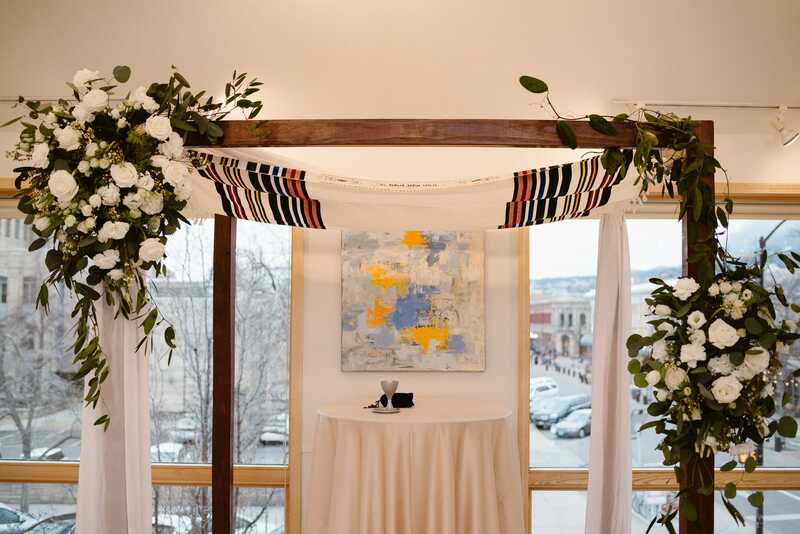 Before the ceremony, we did family photos under the beautifully decorated Chuppah. 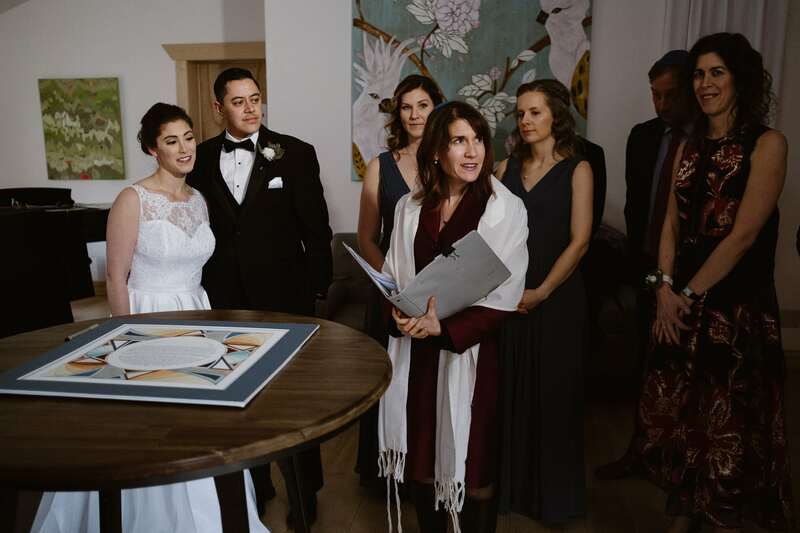 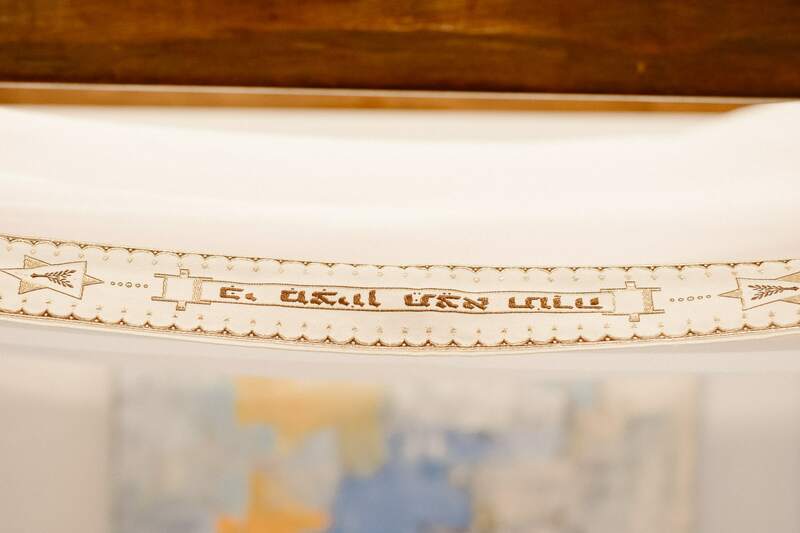 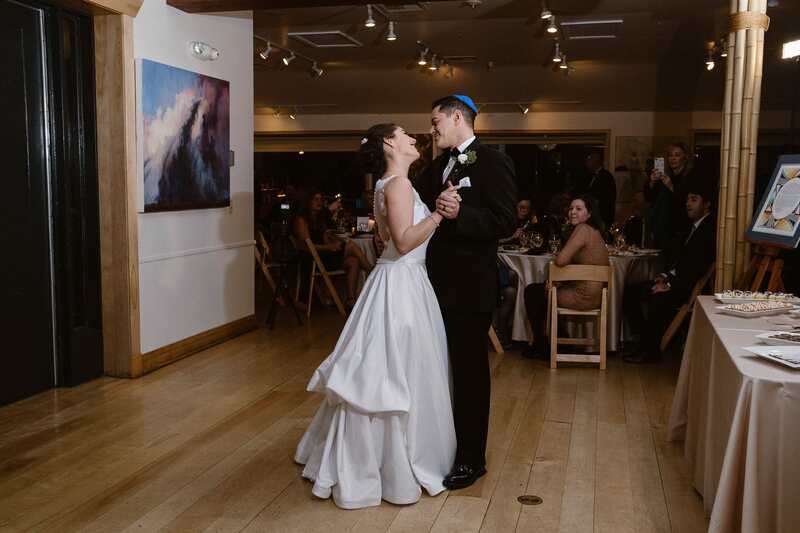 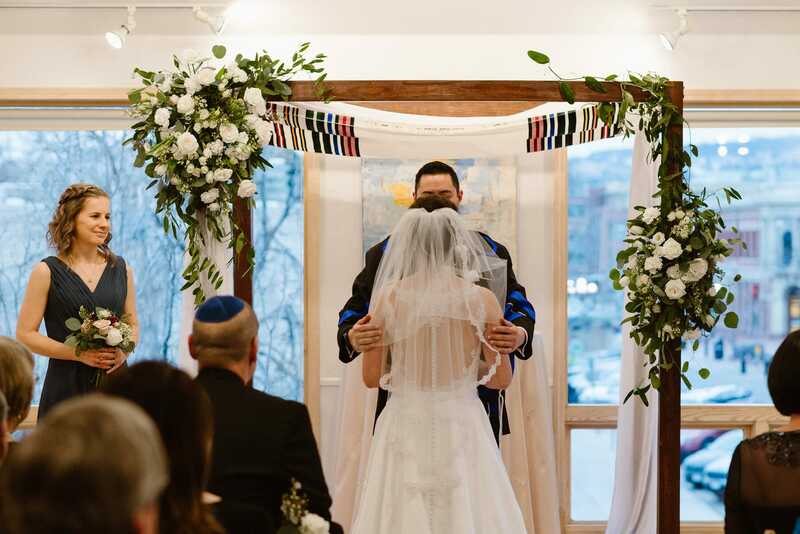 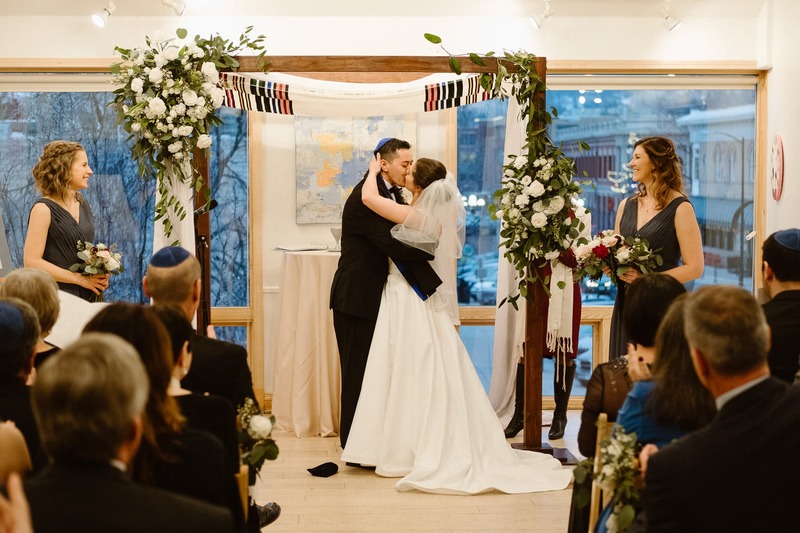 Then the couple and their closest family gathered to sign the Ketubah, which was originally considered a marriage contract. 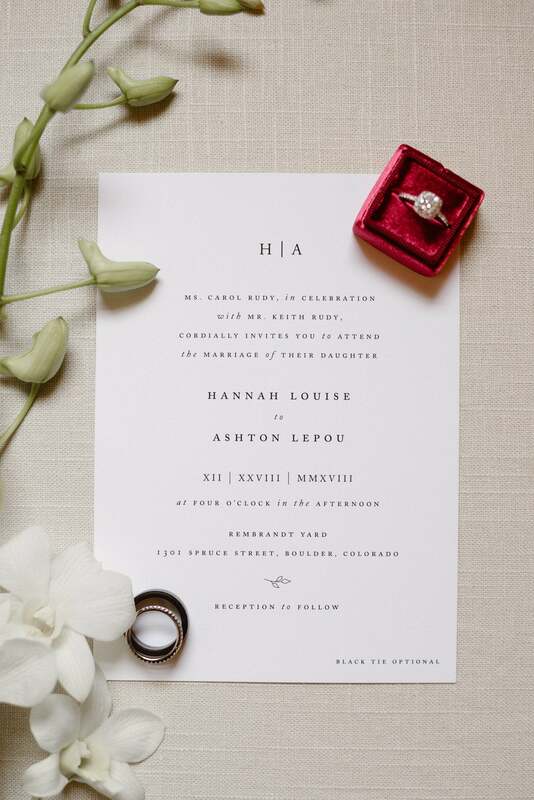 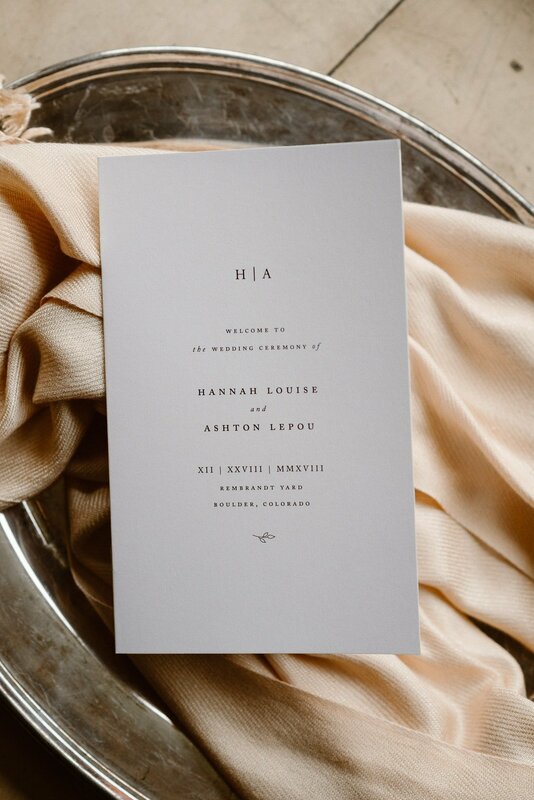 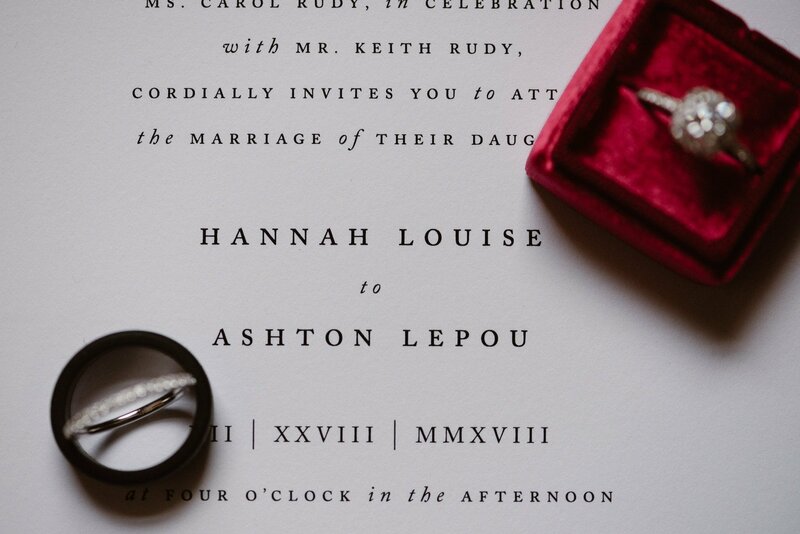 Hannah and Ashton had put so much thought into choosing a design and words that spoke to their relationship! 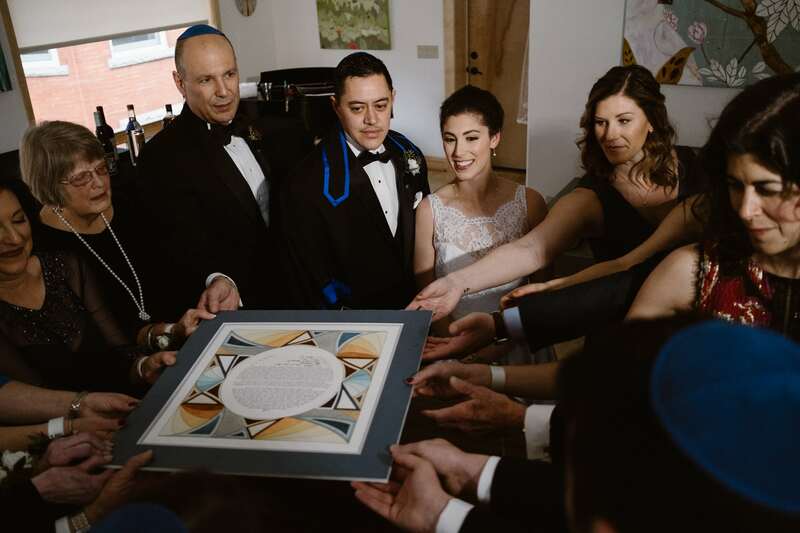 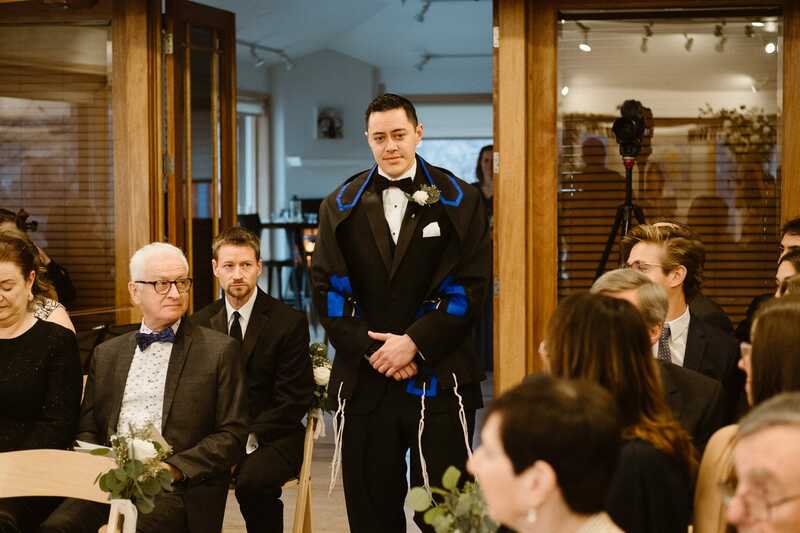 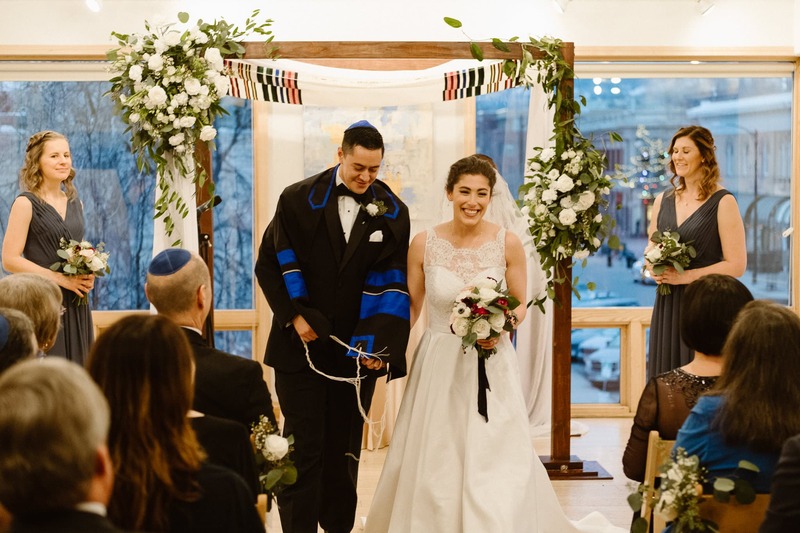 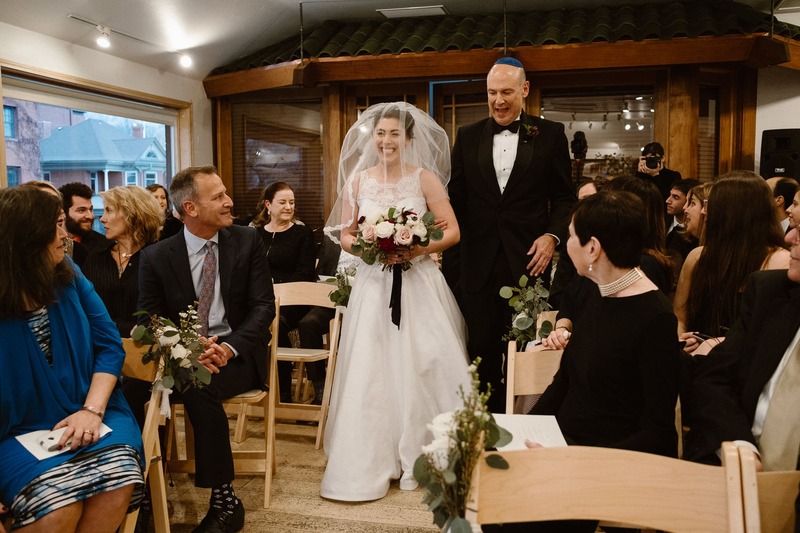 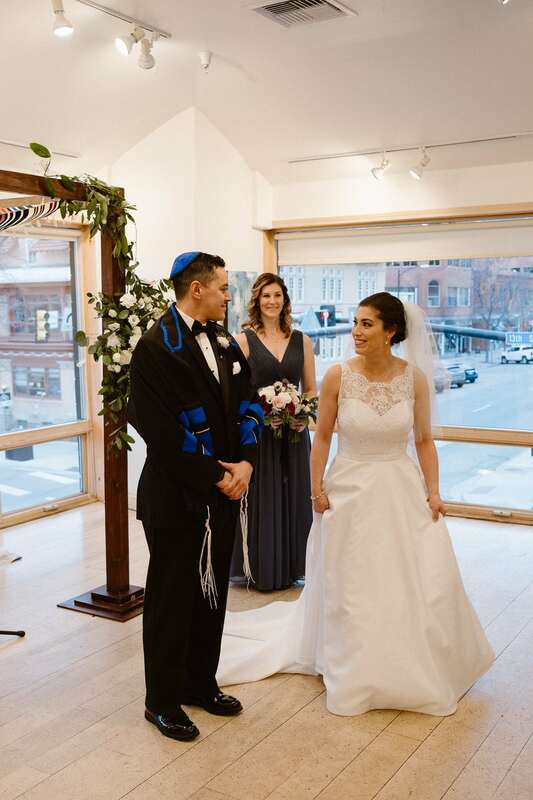 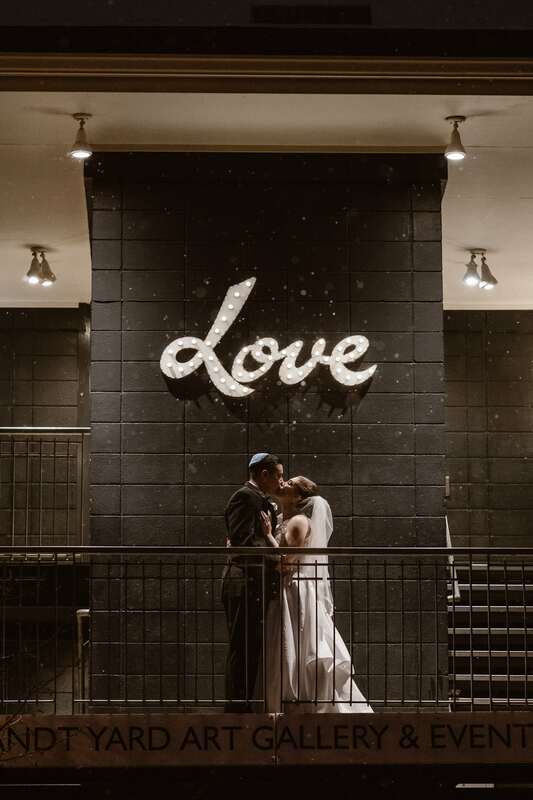 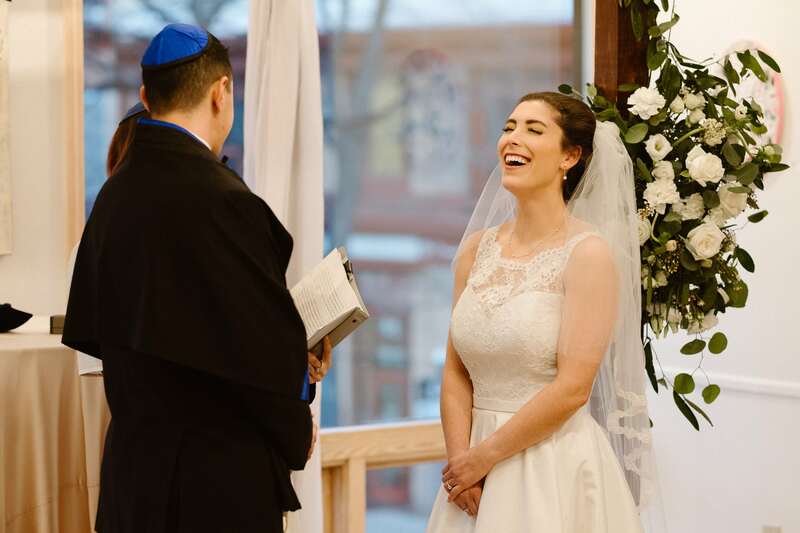 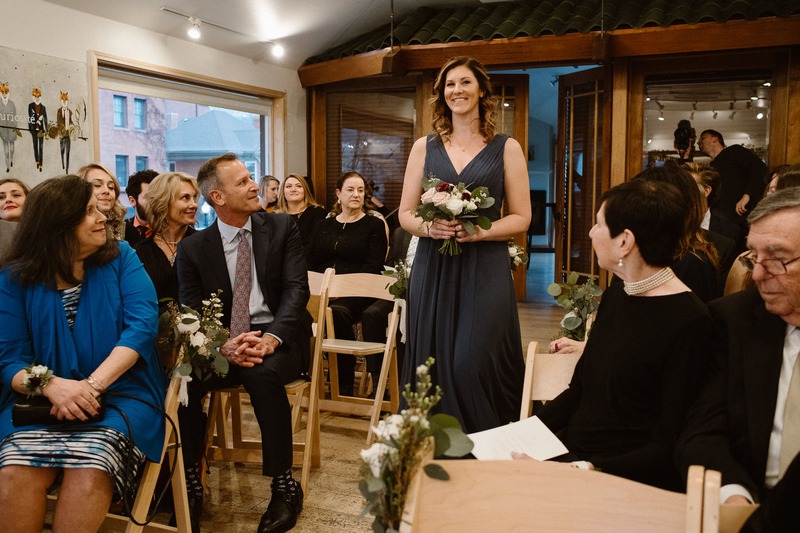 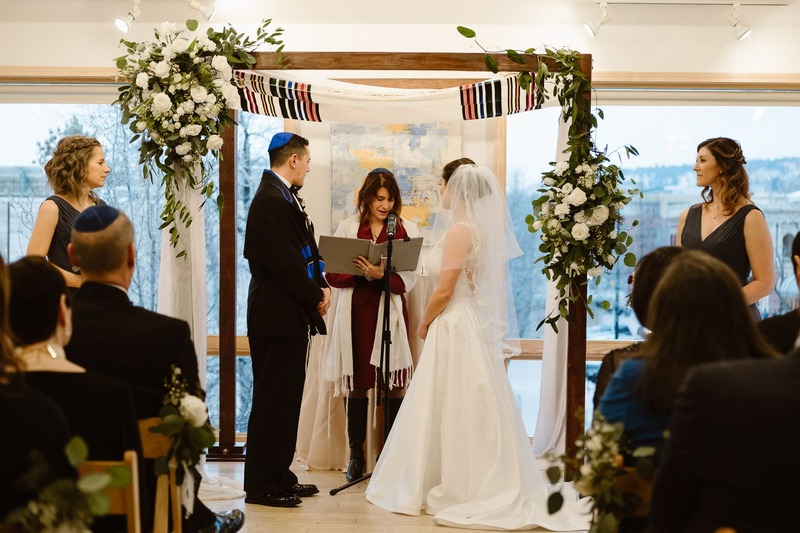 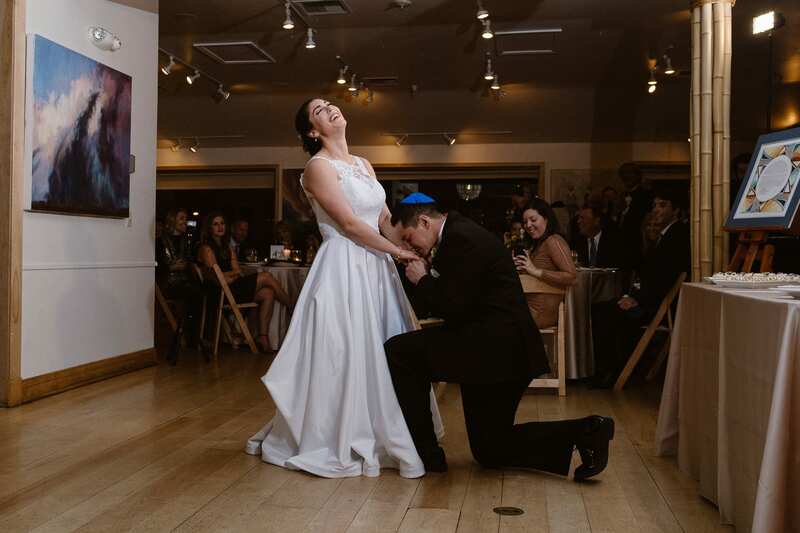 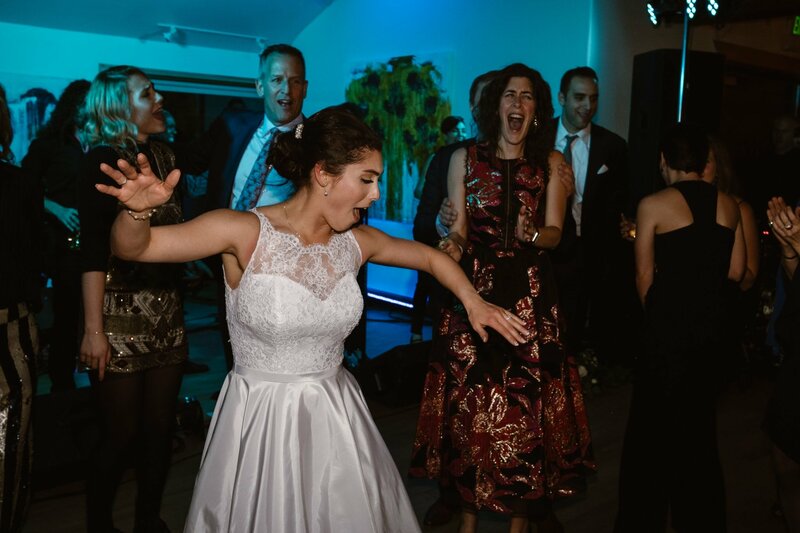 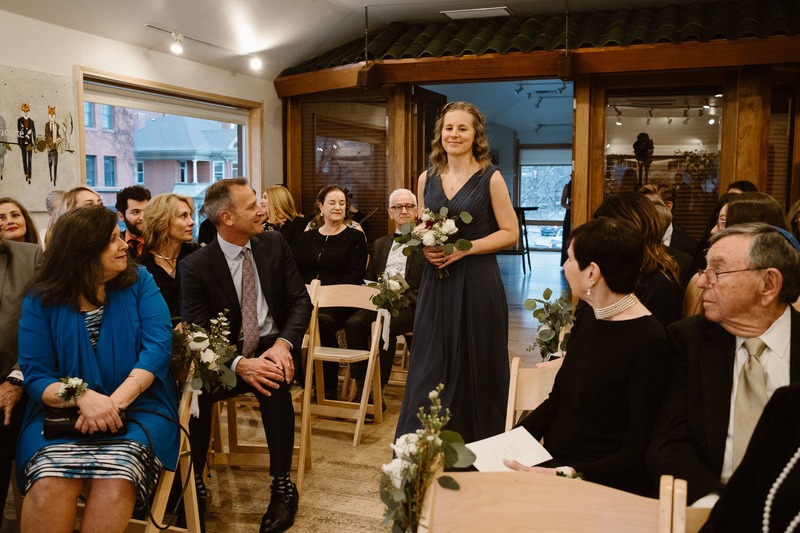 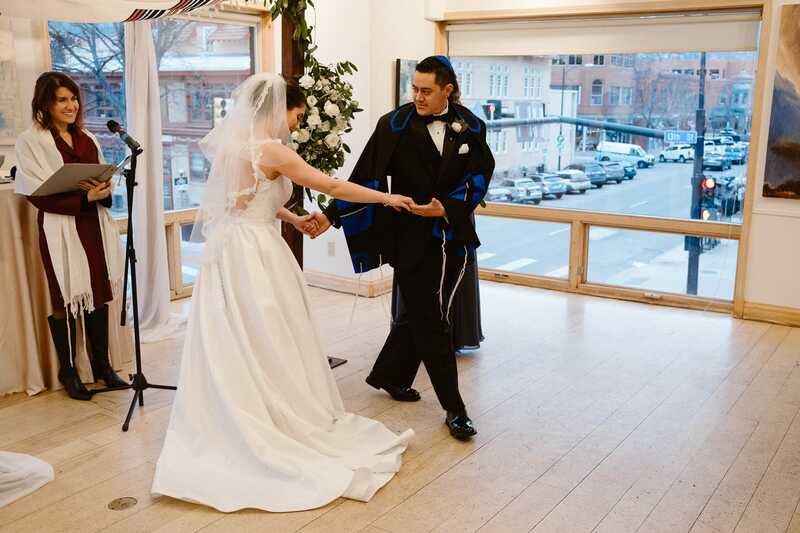 The Rembrandt Yard wedding ceremony incorporated more Jewish wedding traditions, like the reading of the seven wedding blessings, the bride and groom circling each other, and of course the breaking of the glass. 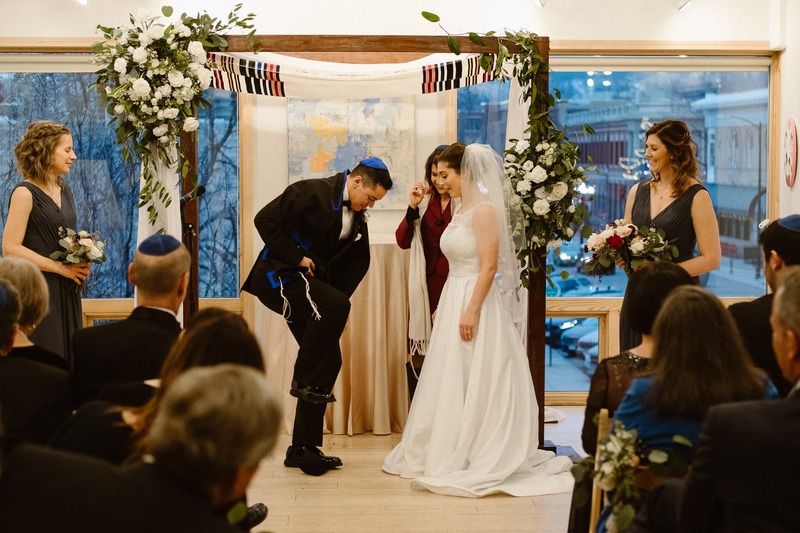 And before the amazing reception dinner, Hannah gave a meal blessing over challah bread. 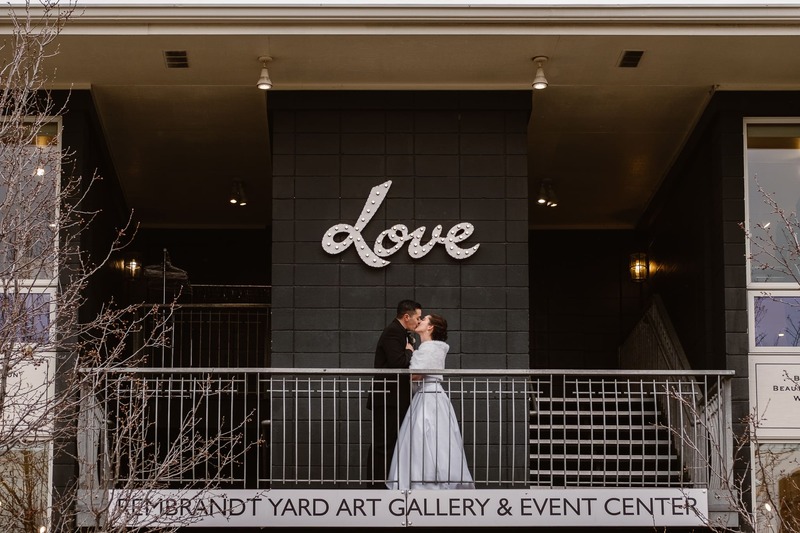 Having lived in Boulder for over nine years now, I’m always so happy to work as a Rembrandt Yard wedding photographer, because it’s truly one of the best venues in town. 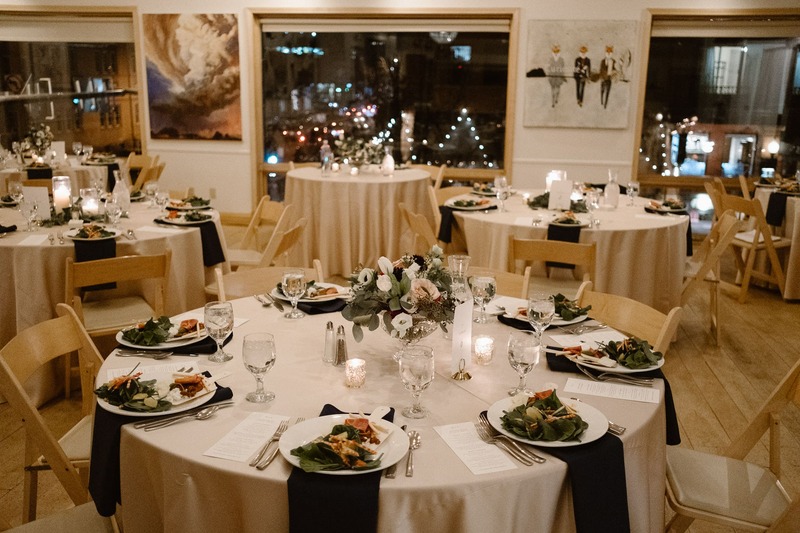 Their staff are so friendly and helpful, and the art makes it such a beautiful setting. 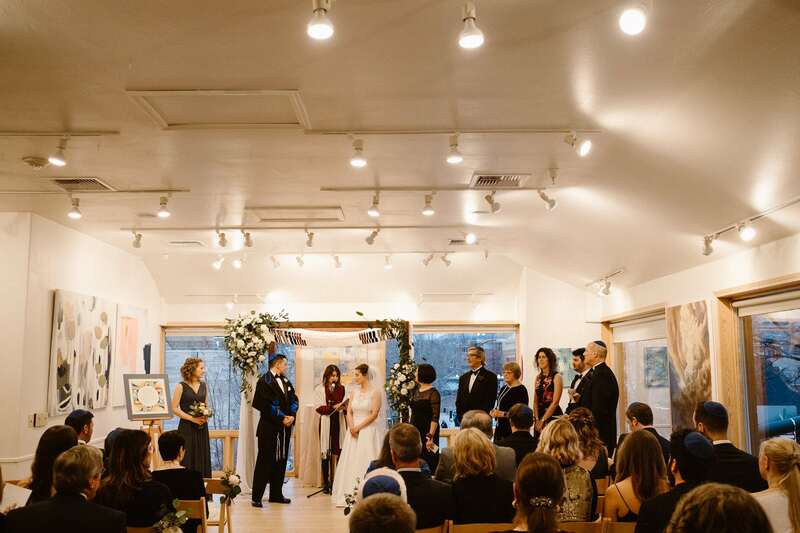 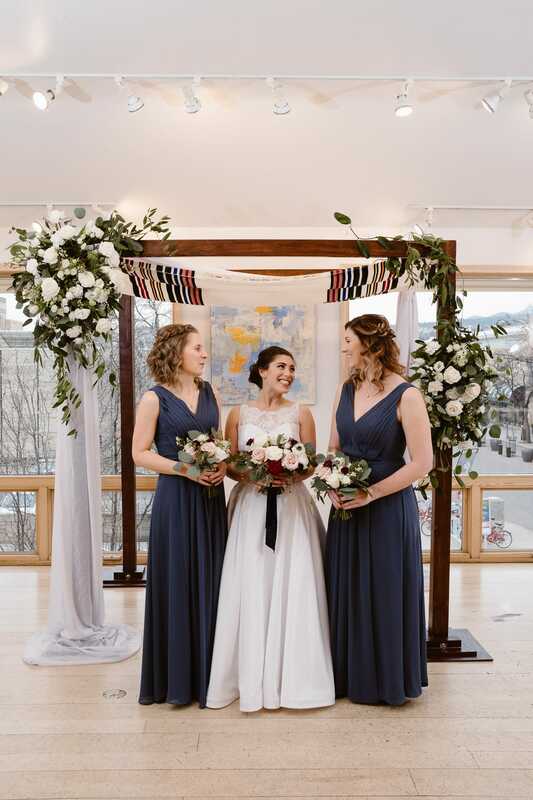 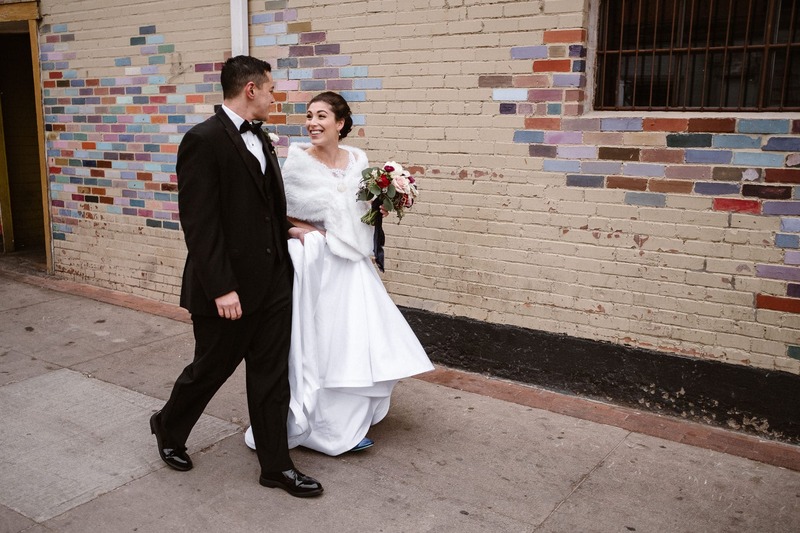 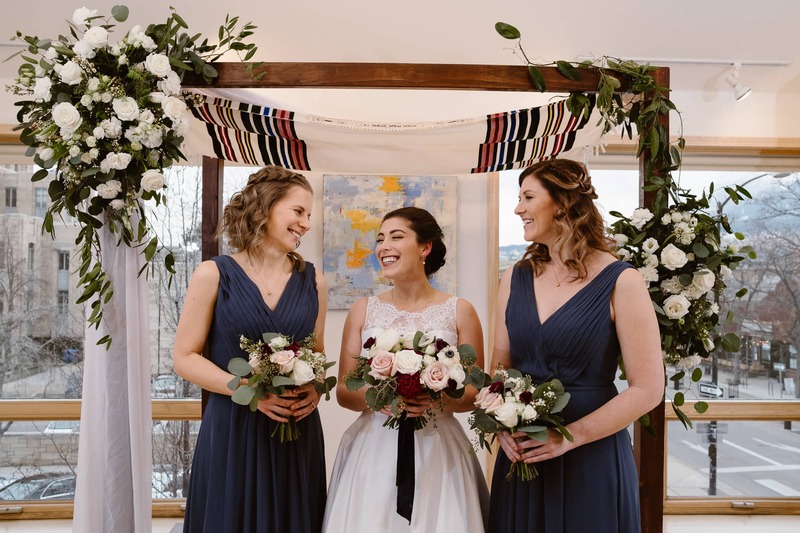 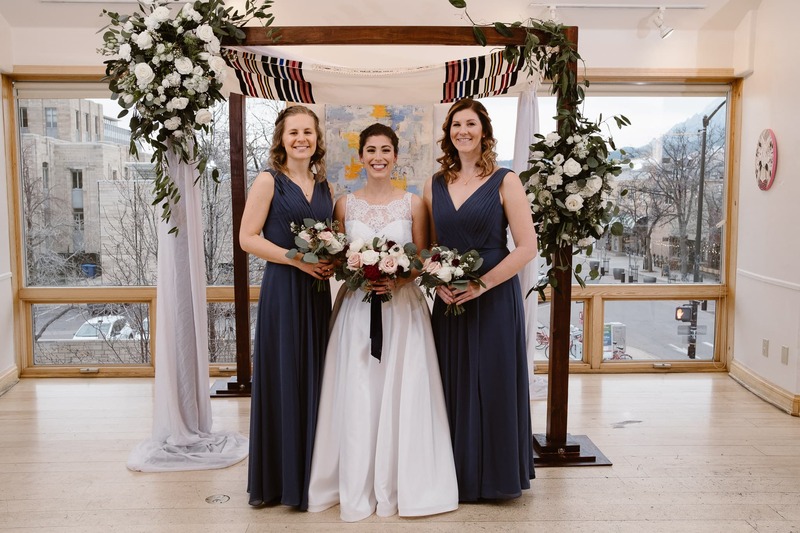 Hannah and Ashton got married in front of an abstract painting in shades of blue (their wedding color! 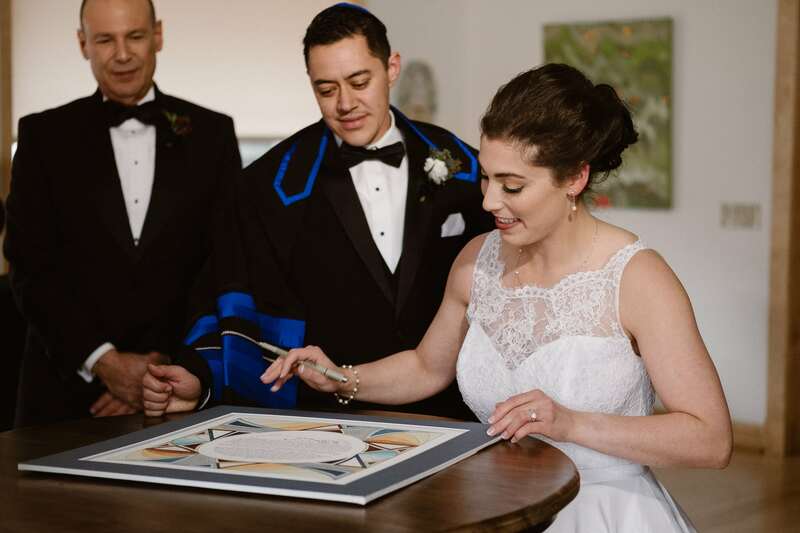 ), and at the reception their bridesmaids and close family surprised them by having bought that painting for them as a wedding gift! 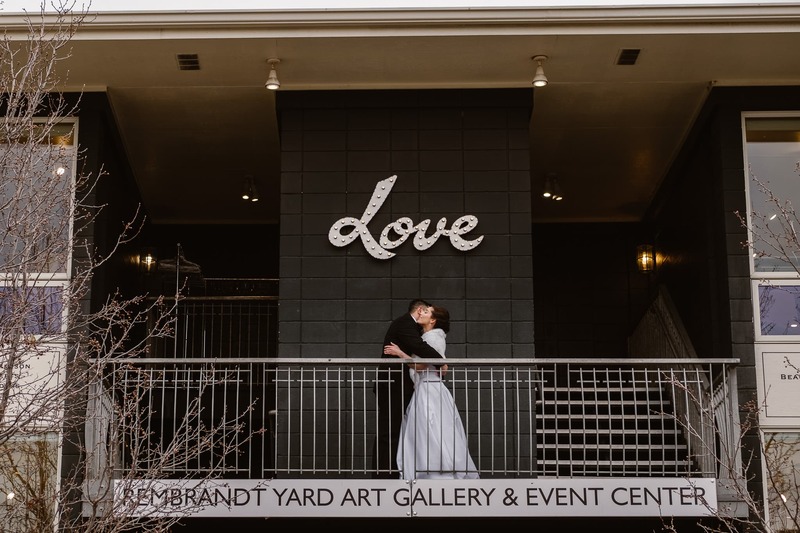 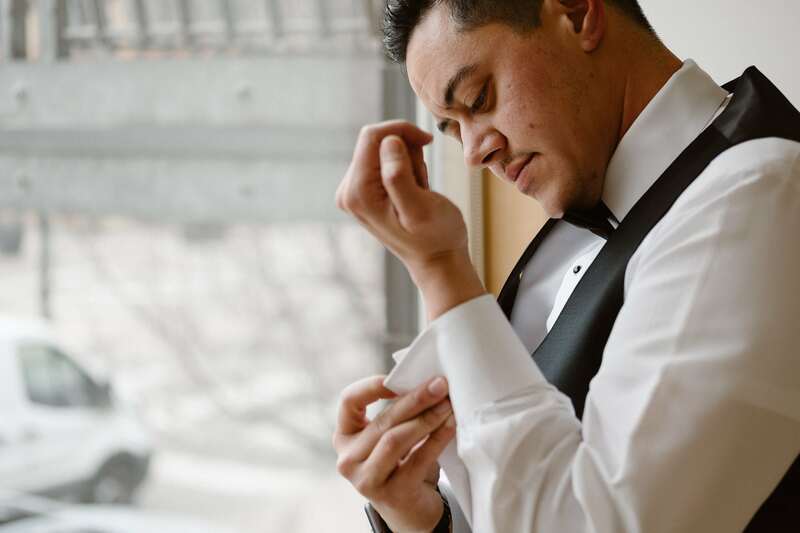 If you are looking for a Rembrandt Yard wedding photographer, I would absolutely love to chat with you about capturing your big day. 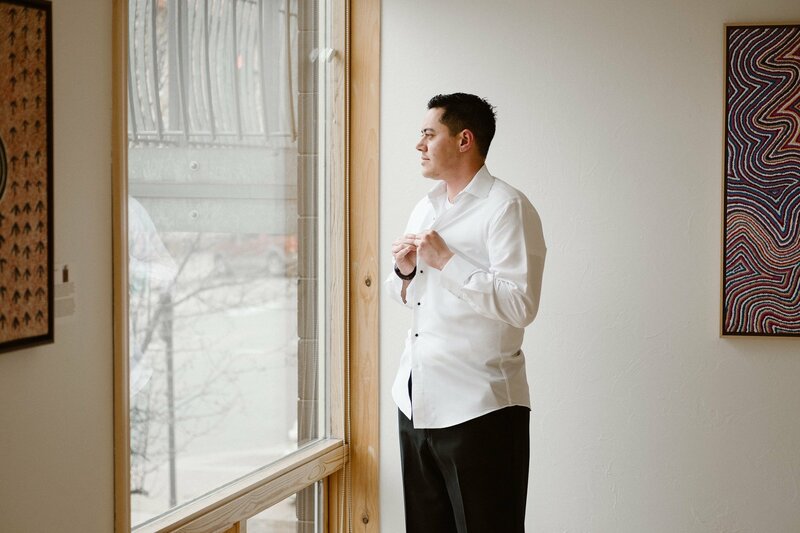 Contact me and let’s make it happen! 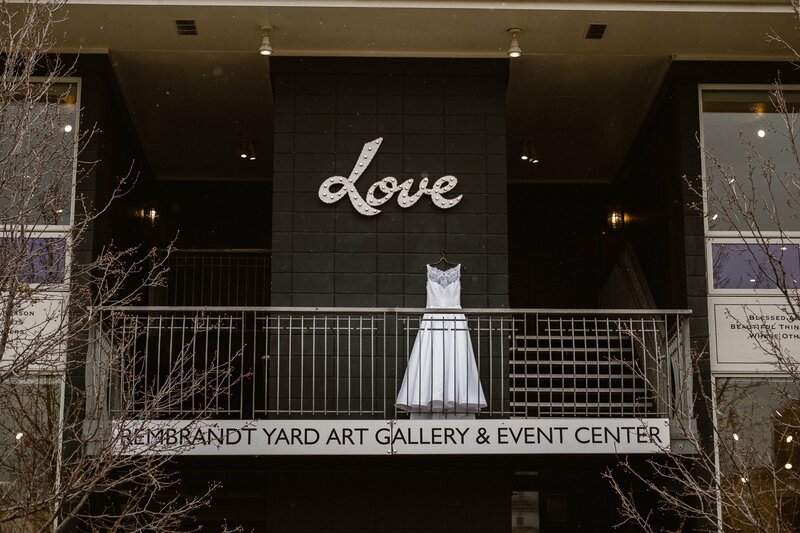 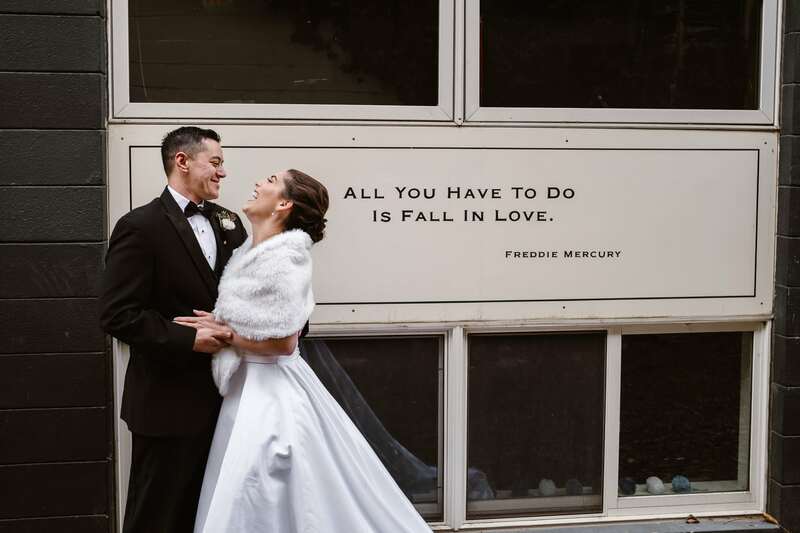 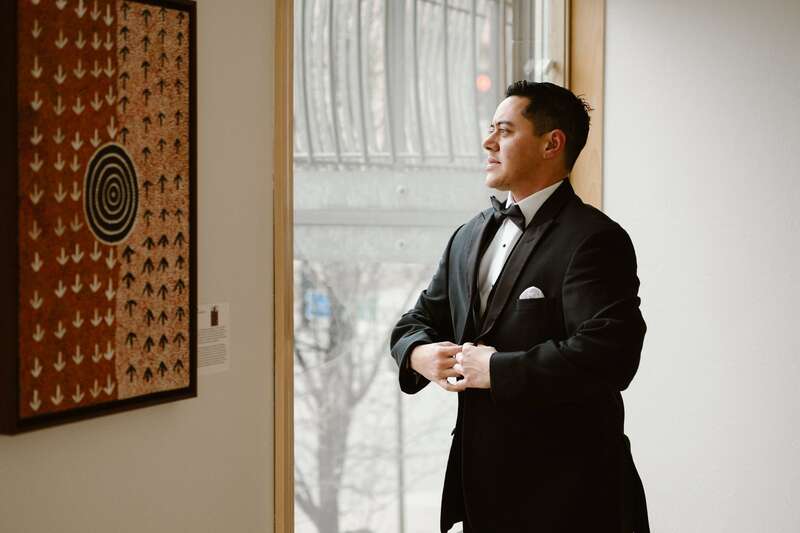 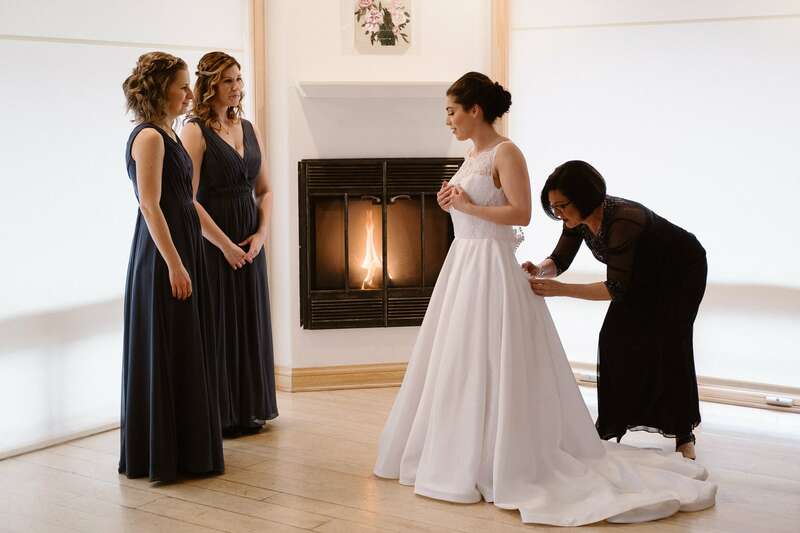 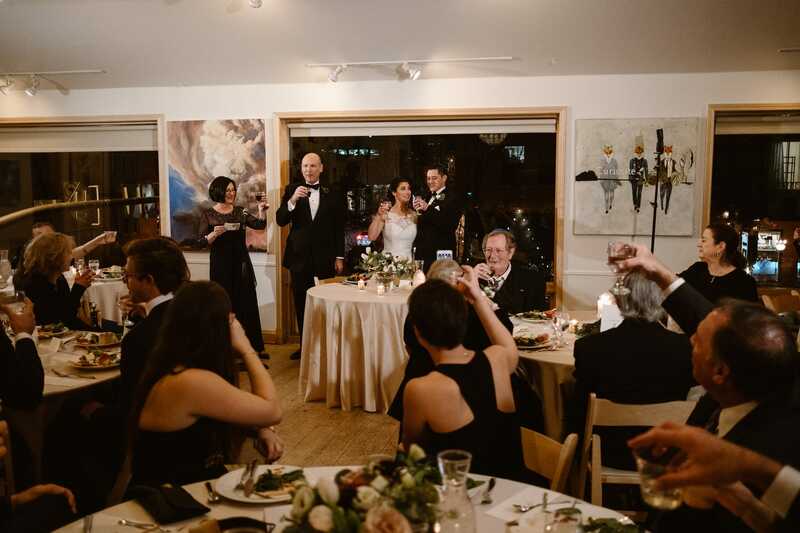 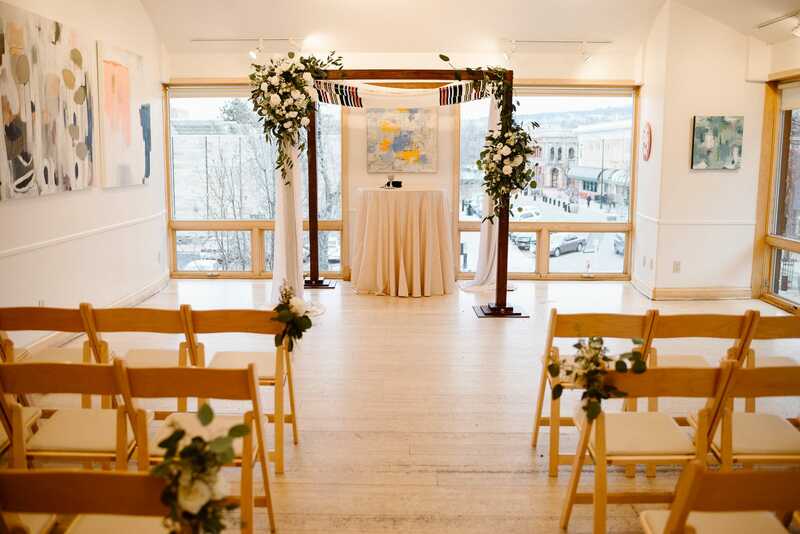 What made you choose a Rembrandt Yard wedding? 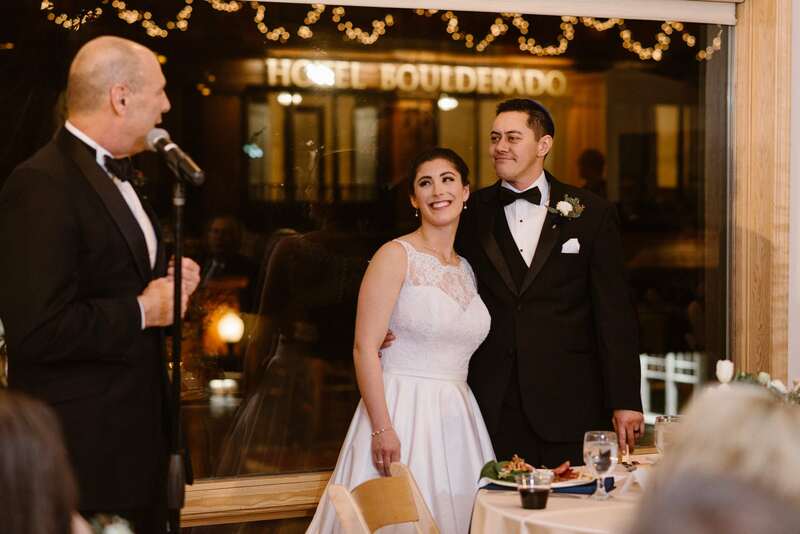 We wanted to see the mountains during our ceremony (while there’s still light) but not freeze in December. 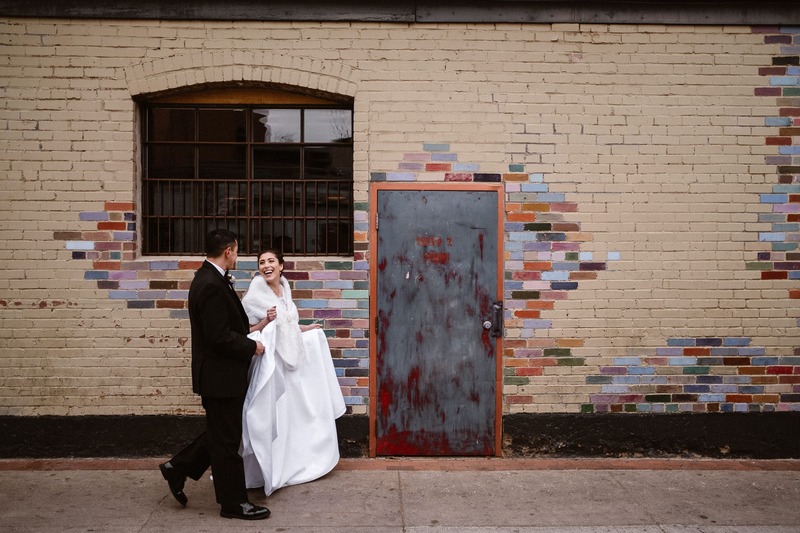 We liked how open the space is and the cool artwork that they feature. 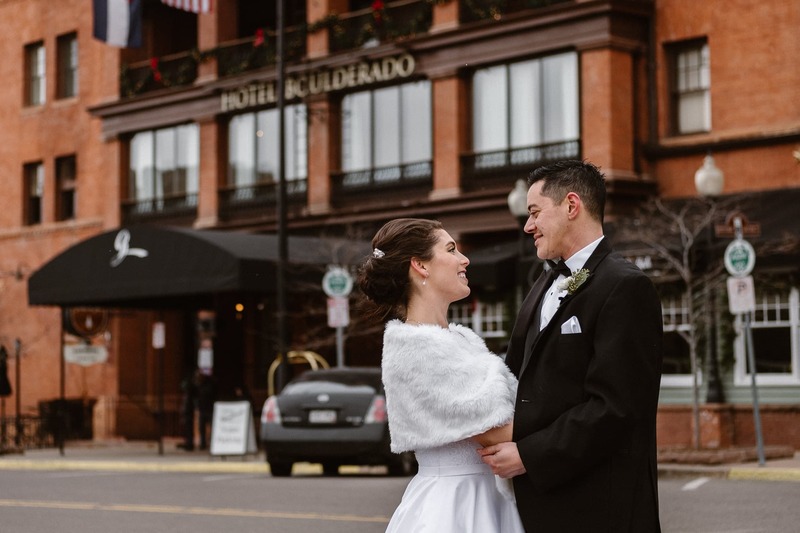 Once the sun sets, we’ll get a cool view of downtown Boulder still decorated for the holidays. 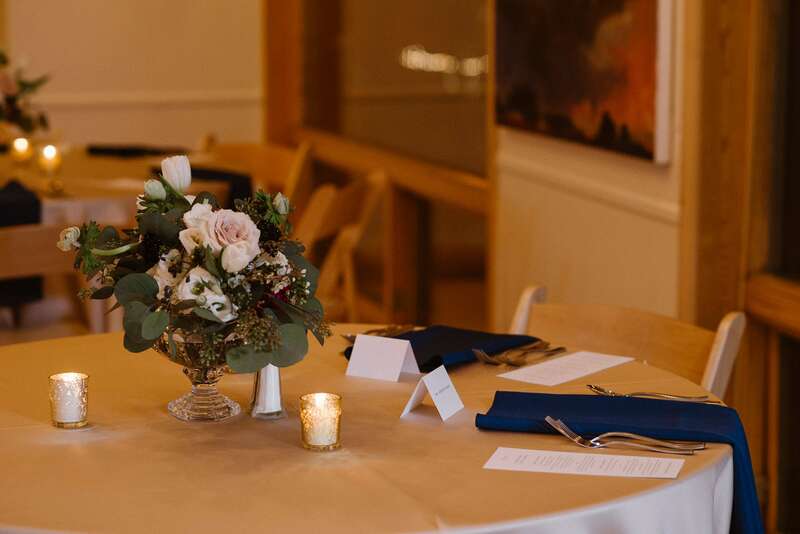 The space feels light and fun! 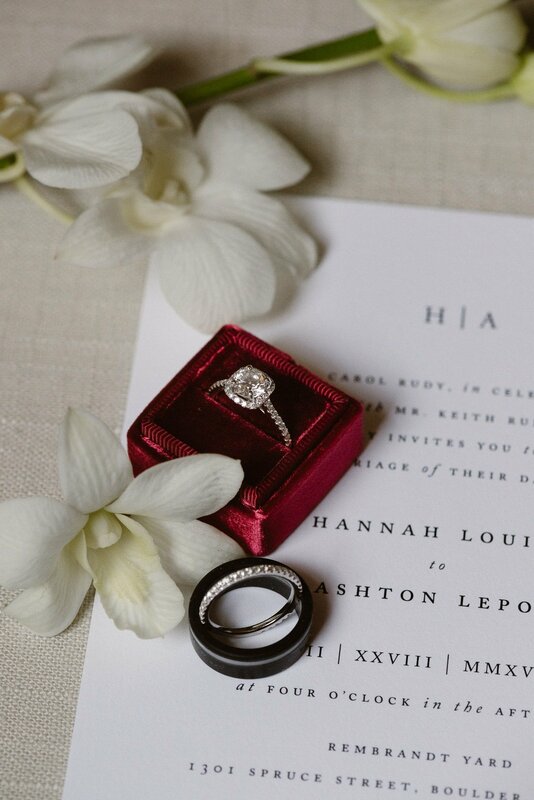 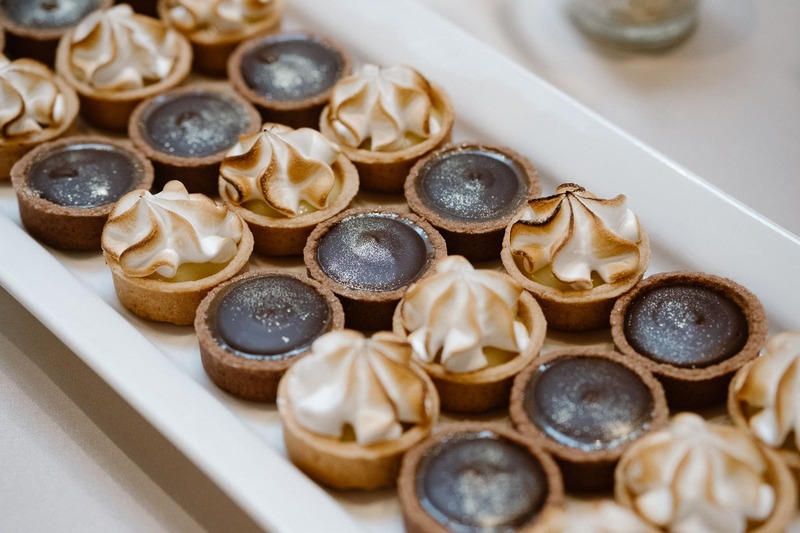 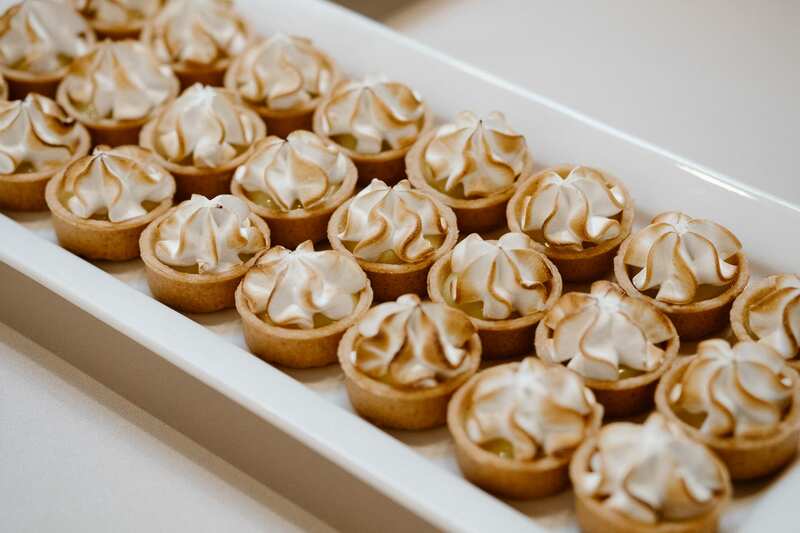 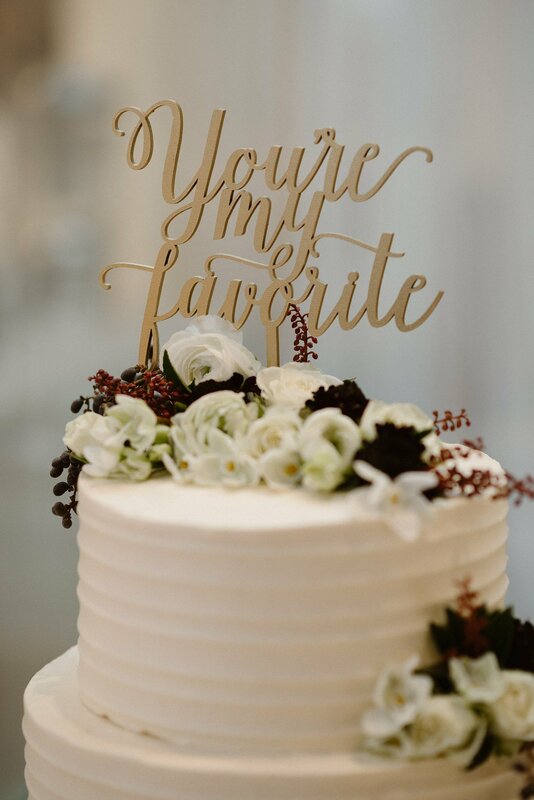 What was your wedding planning inspiration? 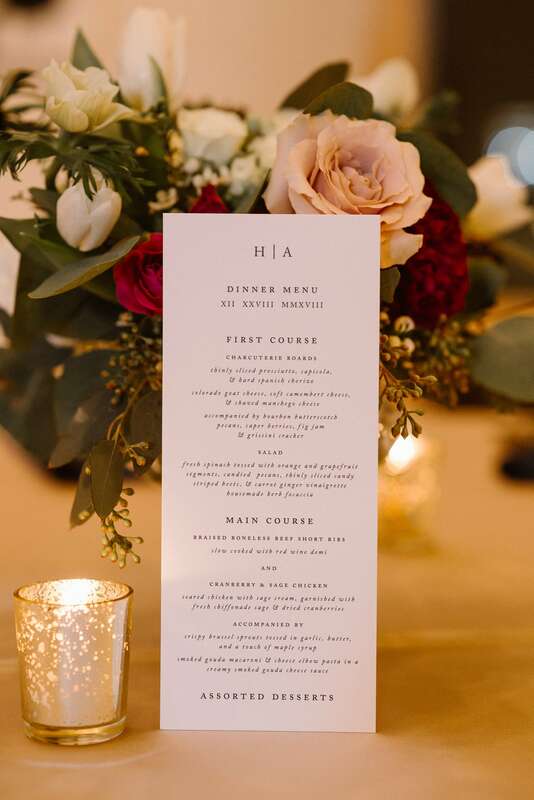 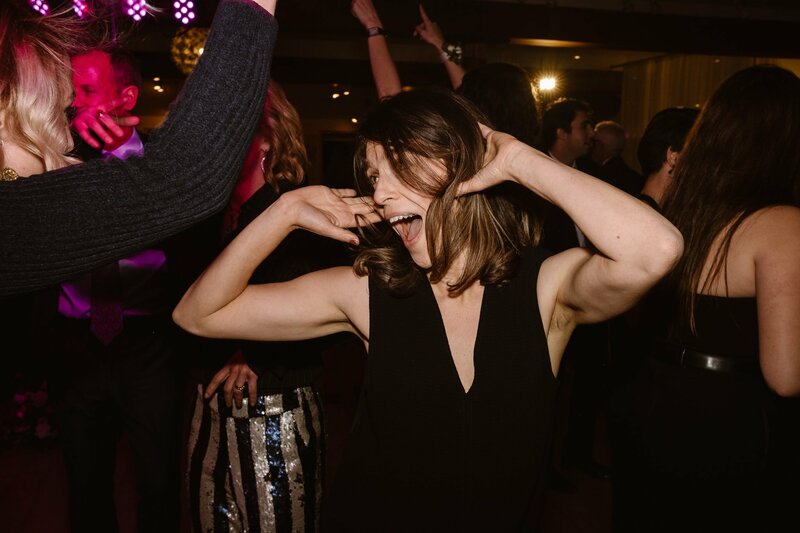 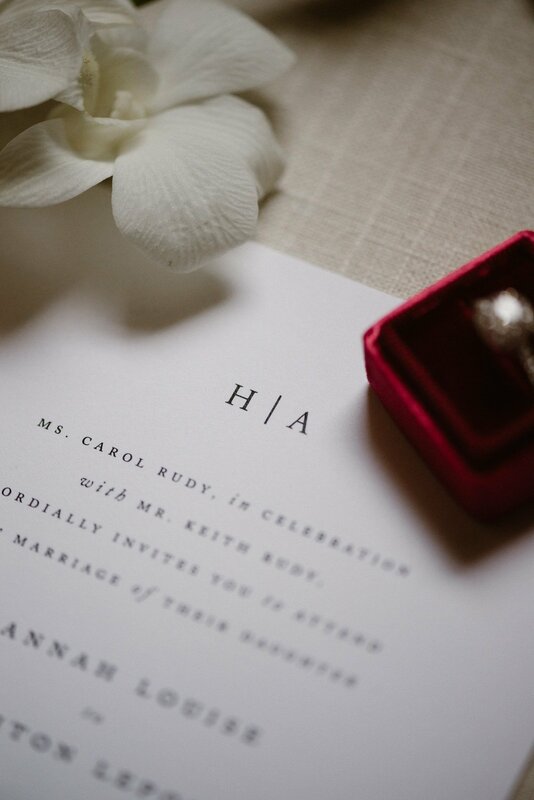 We wanted a classic and elegant evening that’s also warm, inviting, and cozy at the same time. 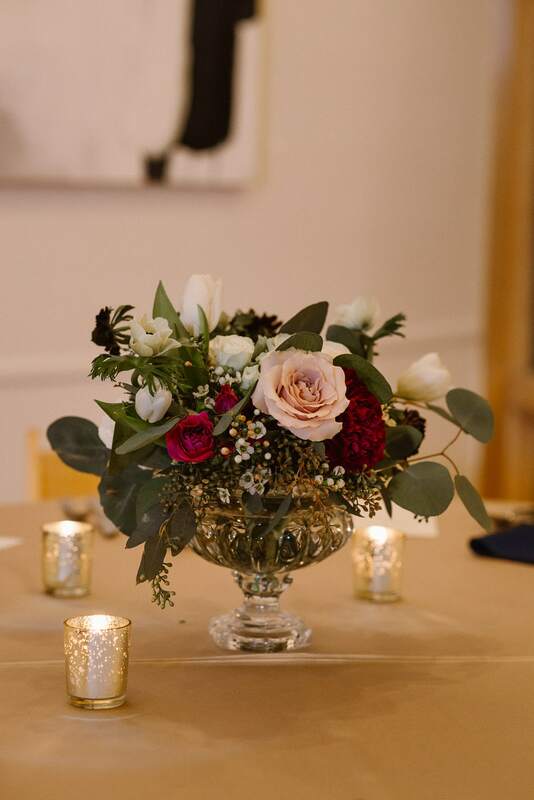 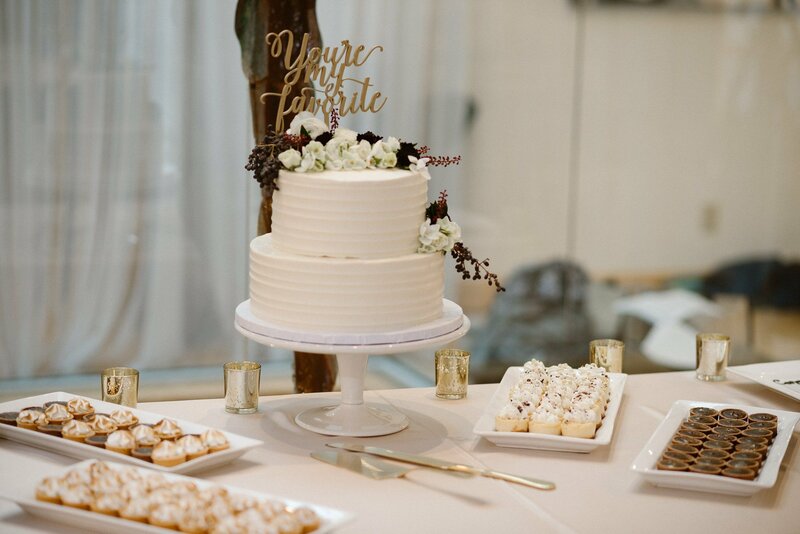 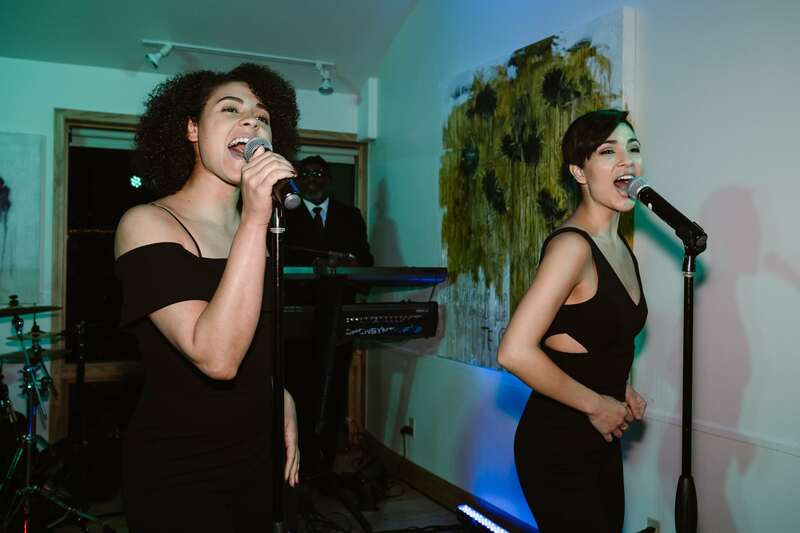 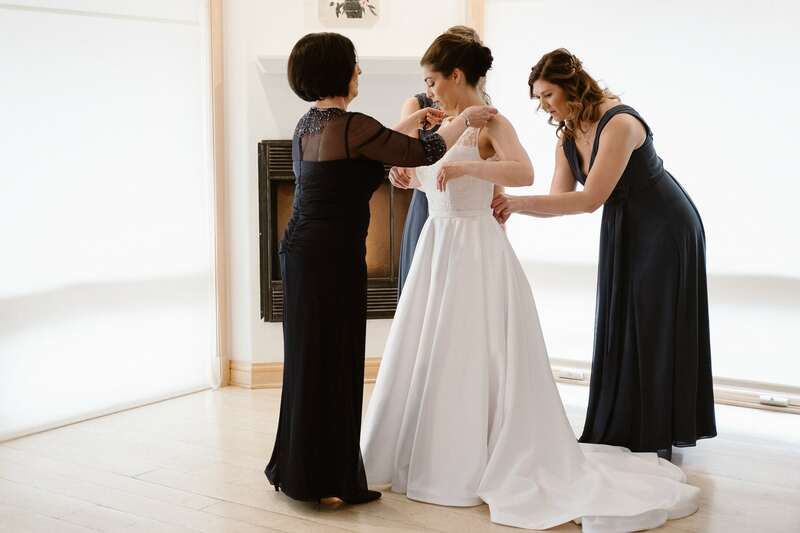 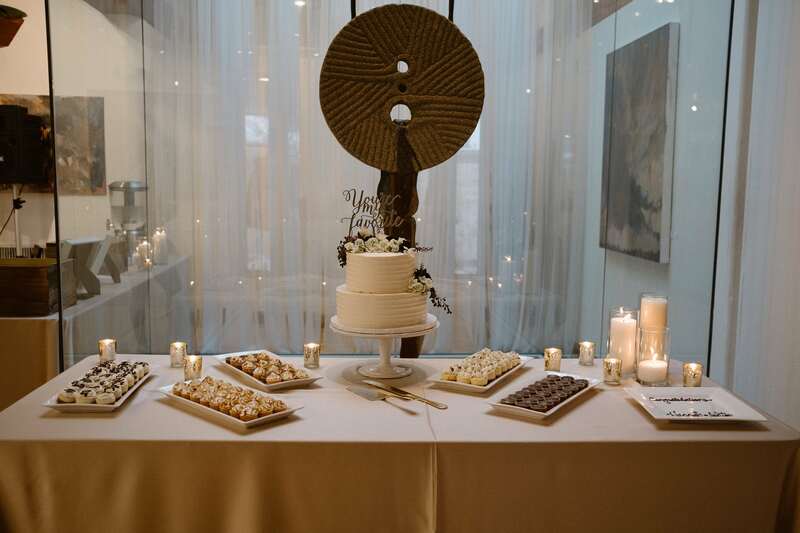 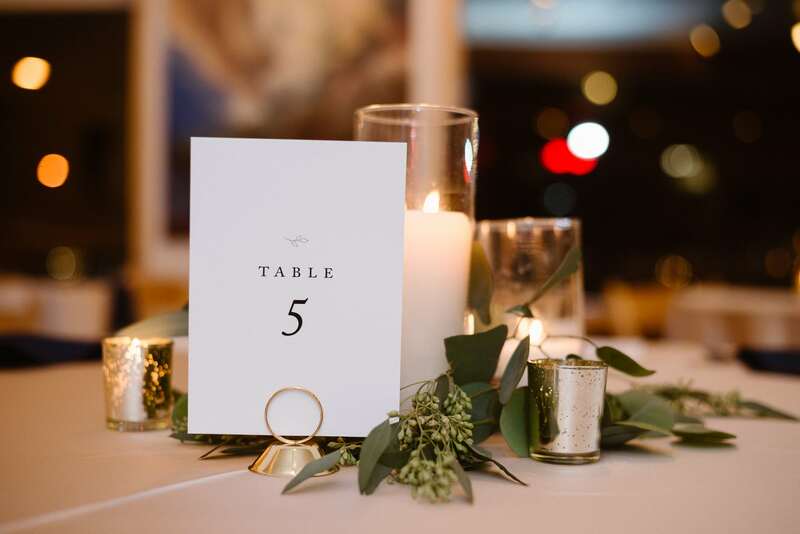 We were excited to get dressed up and have the decor be simple and elegant but wanted it to be a family atmosphere. 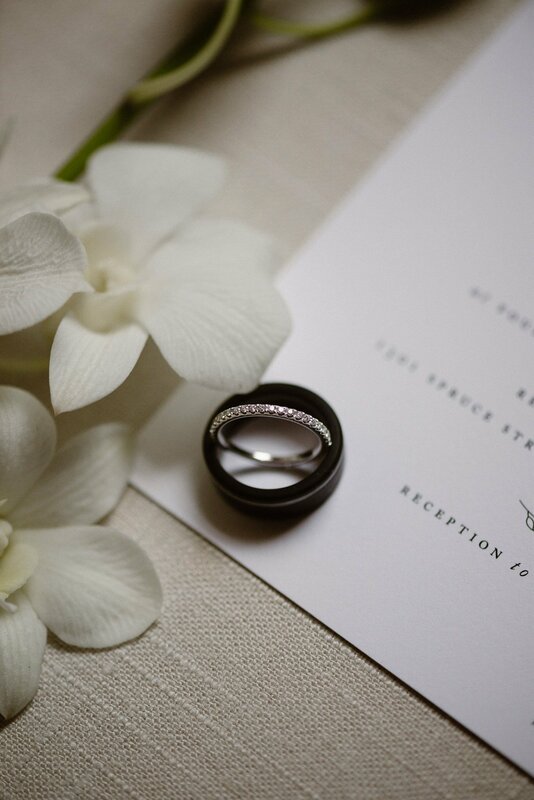 What personal details or traditions did you incorporate in your wedding day? 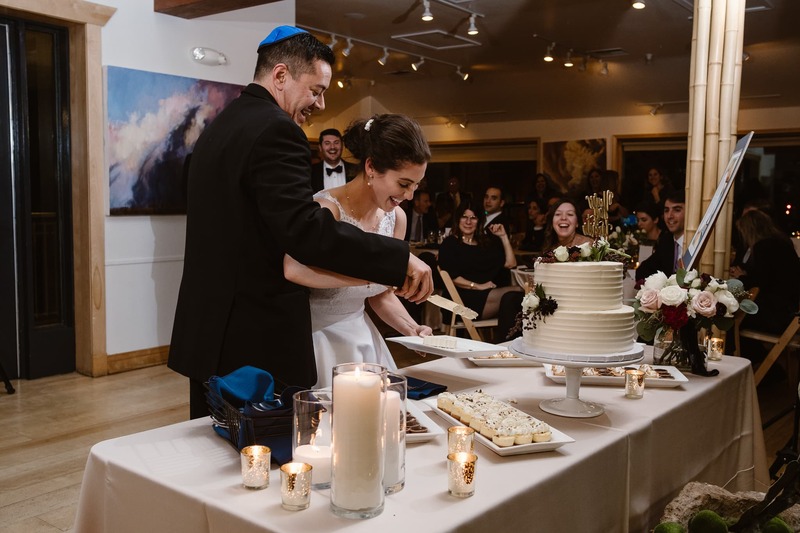 We’re incorporating some of the Jewish traditions but we’re also incorporating the color blue because it’s both of our favorite color, mac ‘n’ cheese because we love it, charcuterie boards with dinner because we make those a lot for ourselves and love them (can you tell we love to cook and eat together?). 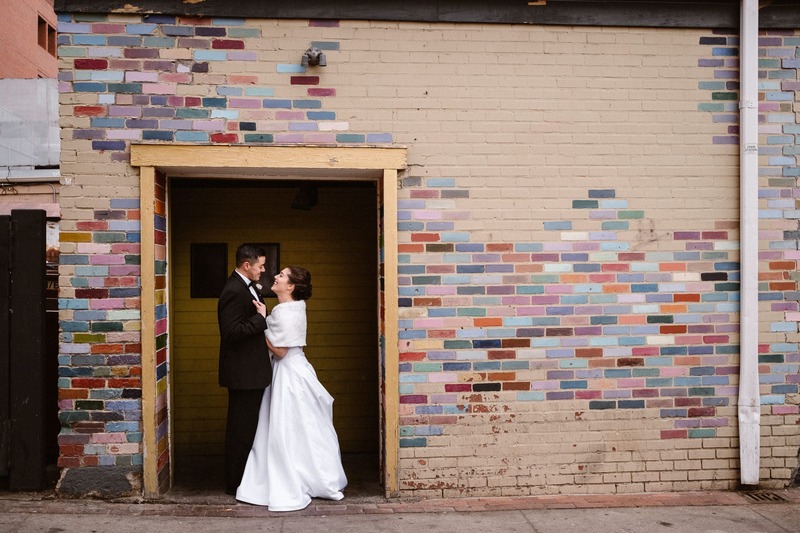 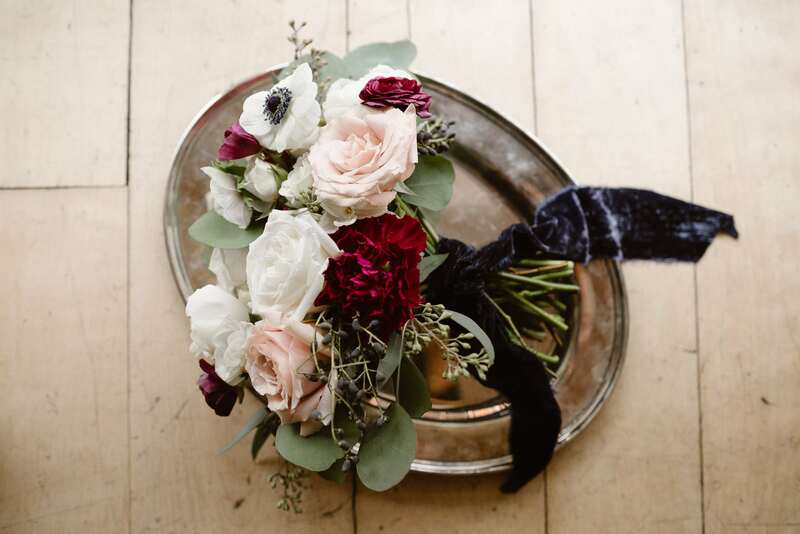 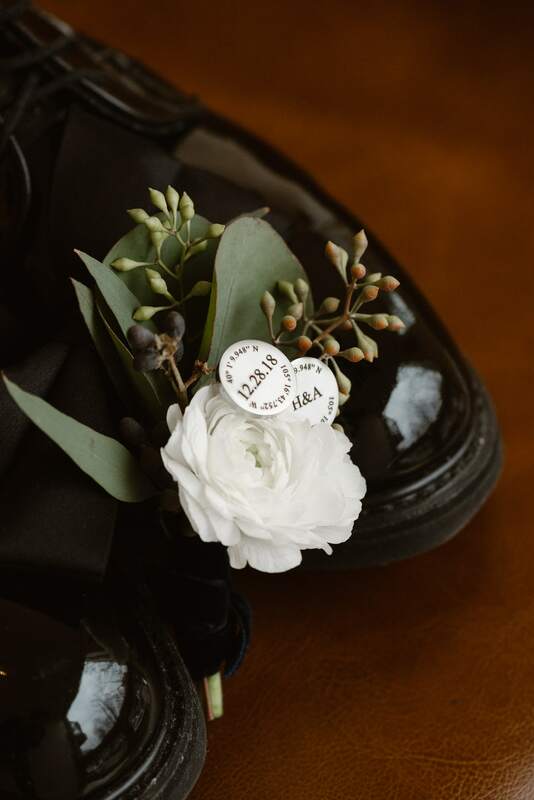 Shoutouts to all the amazing vendors who helped make Hannah and Ashton’s Rembrandt Yard wedding such a beautiful day!